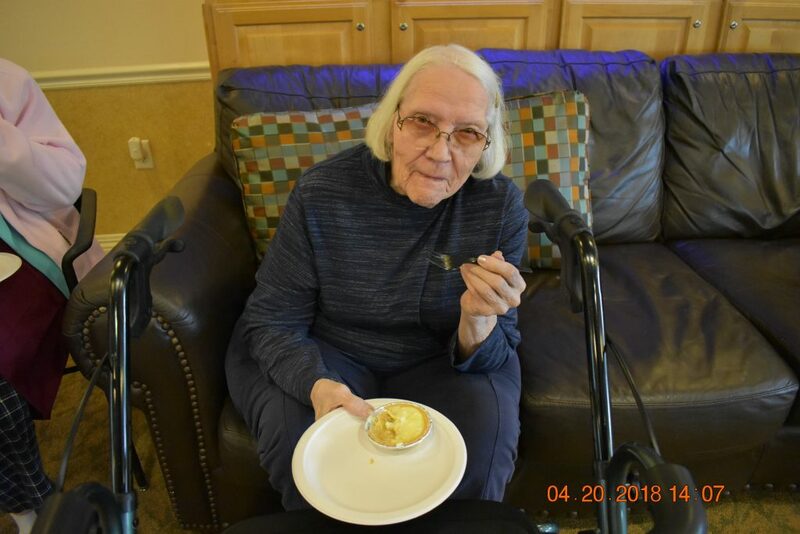 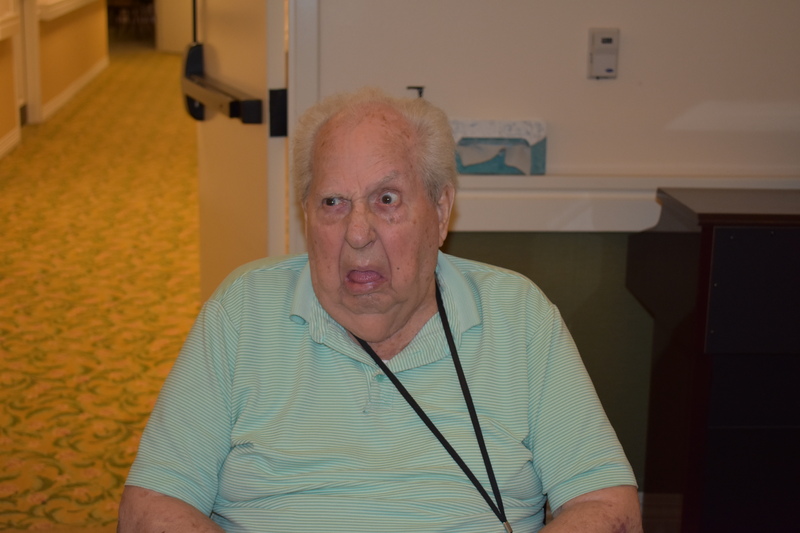 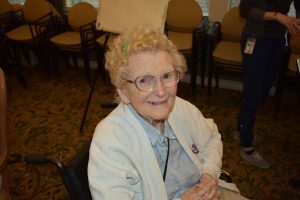 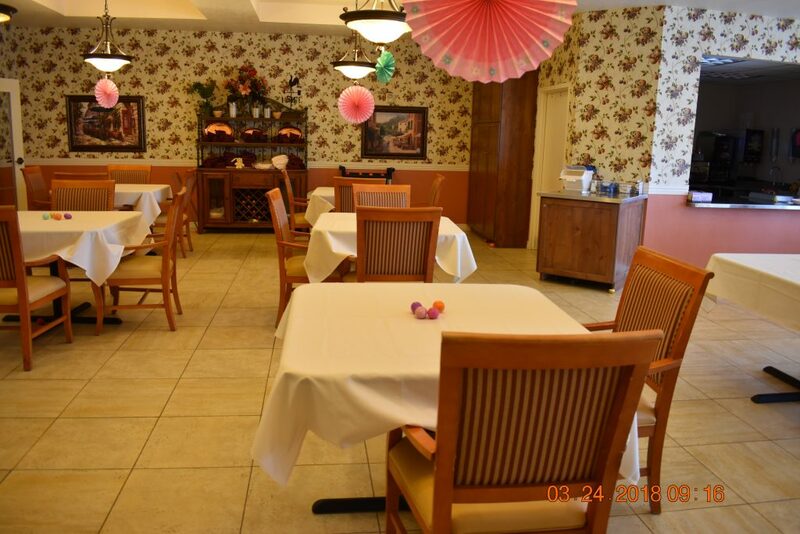 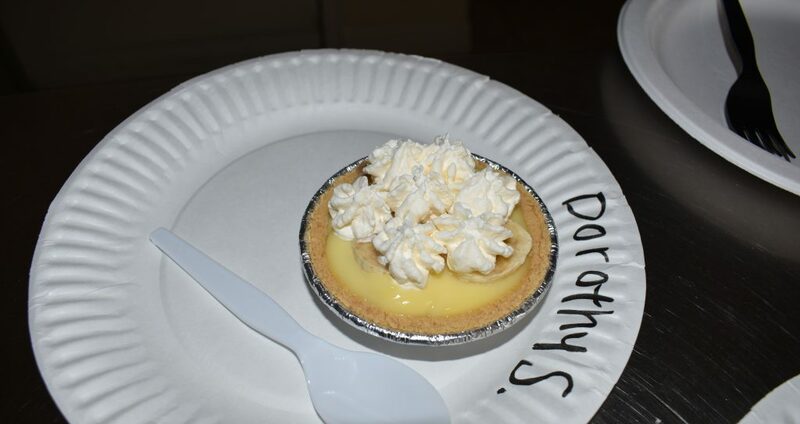 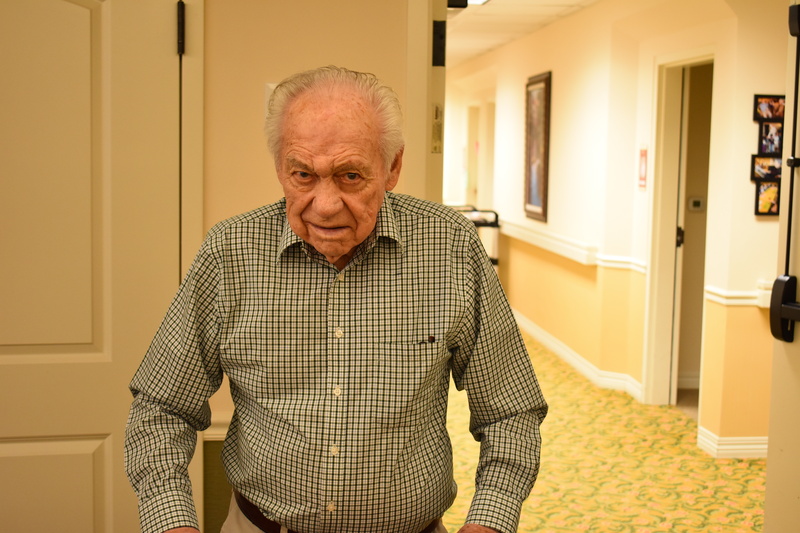 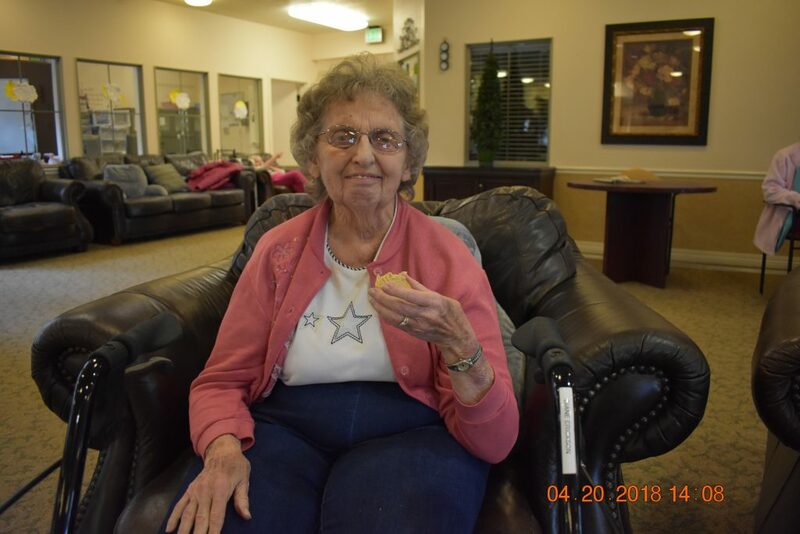 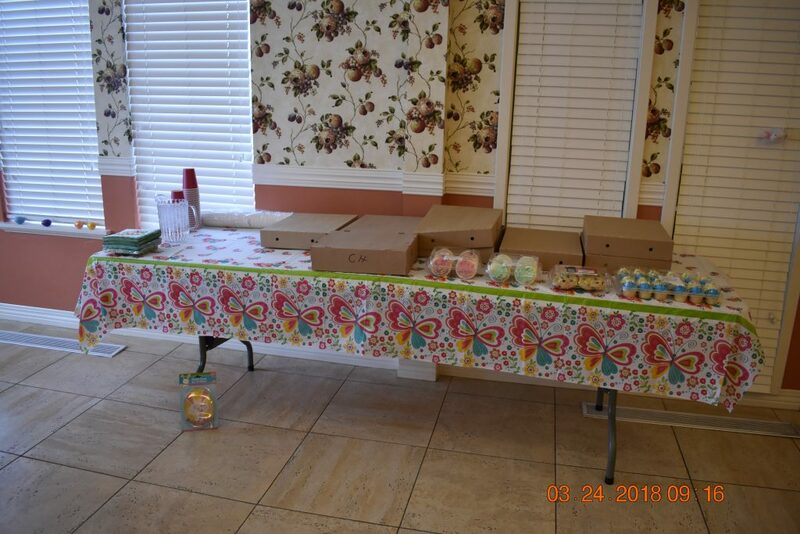 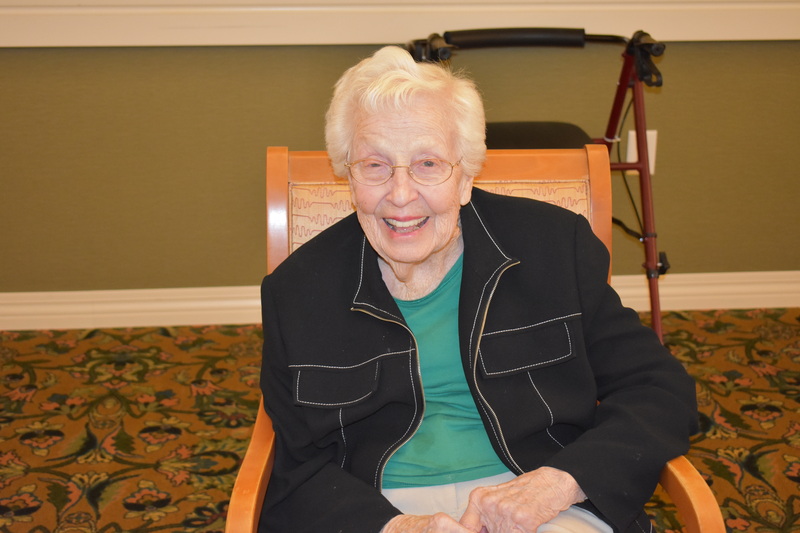 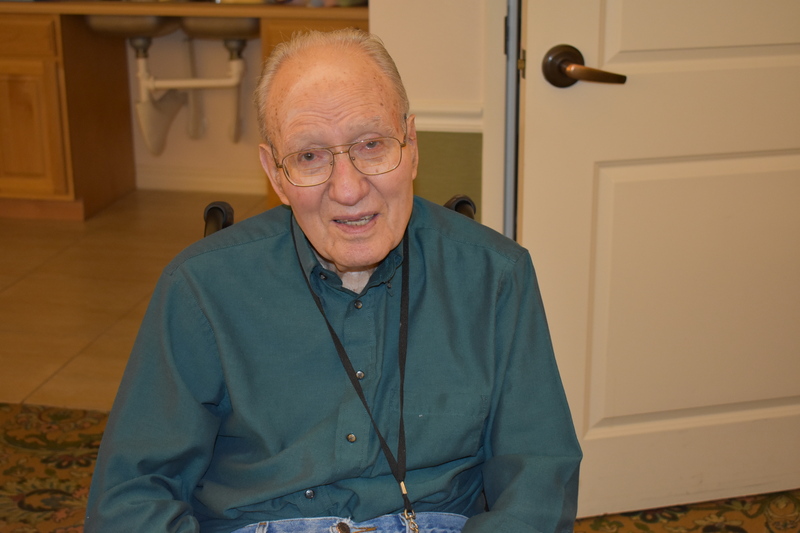 Every Friday our memory care residents get to participate in our “Baking Class”. 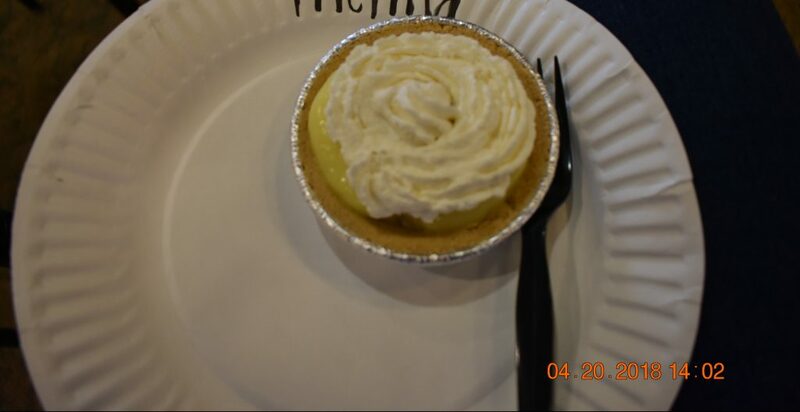 This week we made mini banana cream pies! 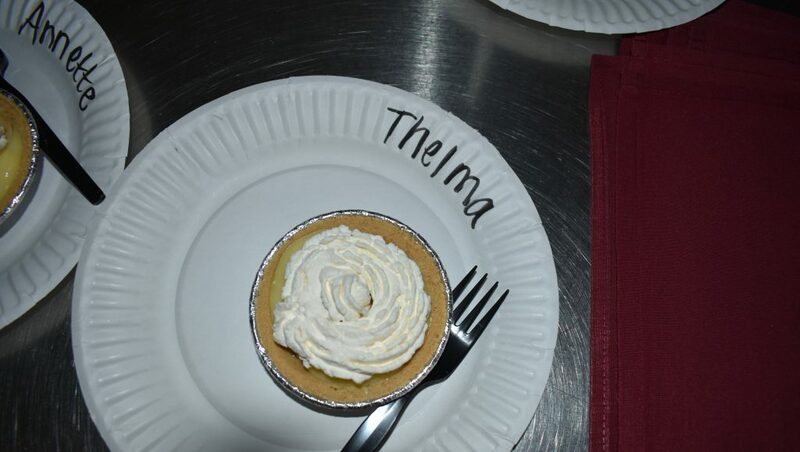 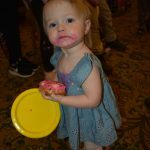 Everyone had a fun time mixing and assembling their pies, but the best part is eating them of course! 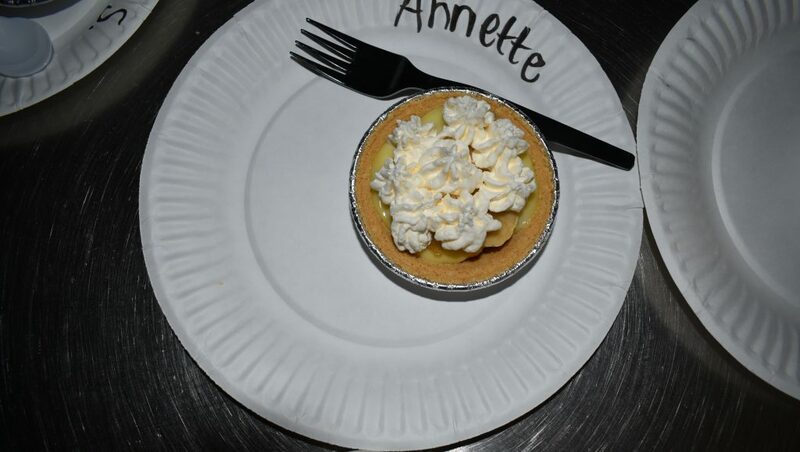 And they turned out great! 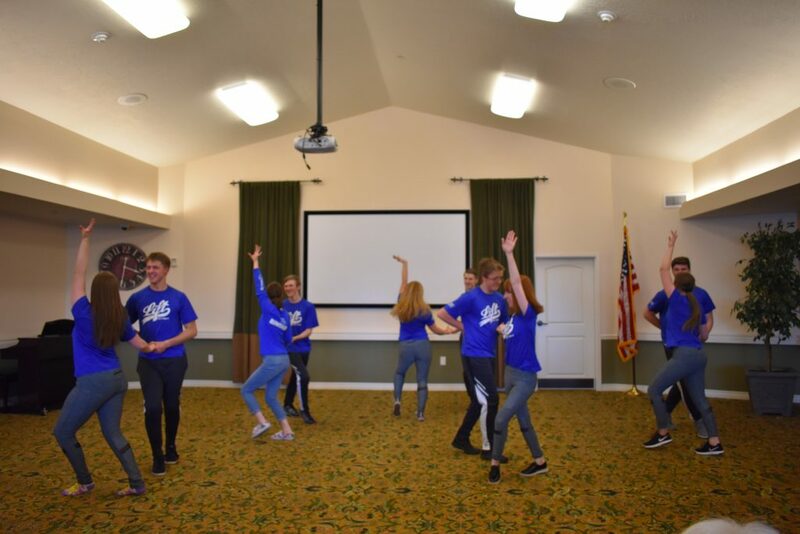 A few weeks ago we had so much fun dancing and singing along with John Green. 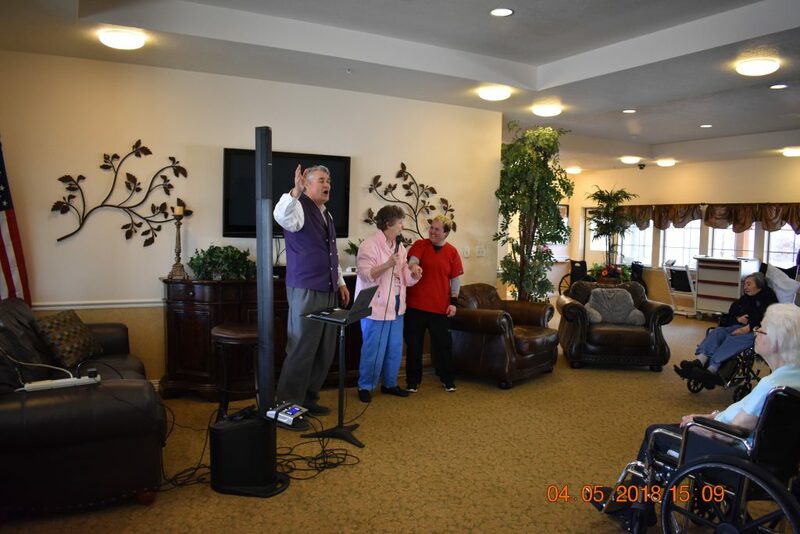 He comes and brings all the best songs, some of the residents even took turns with the mic. It’s finally ice cream weather!!! 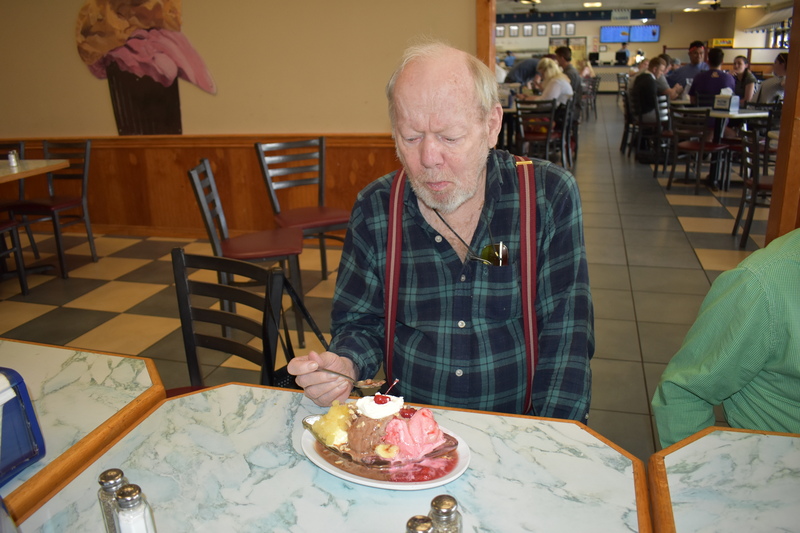 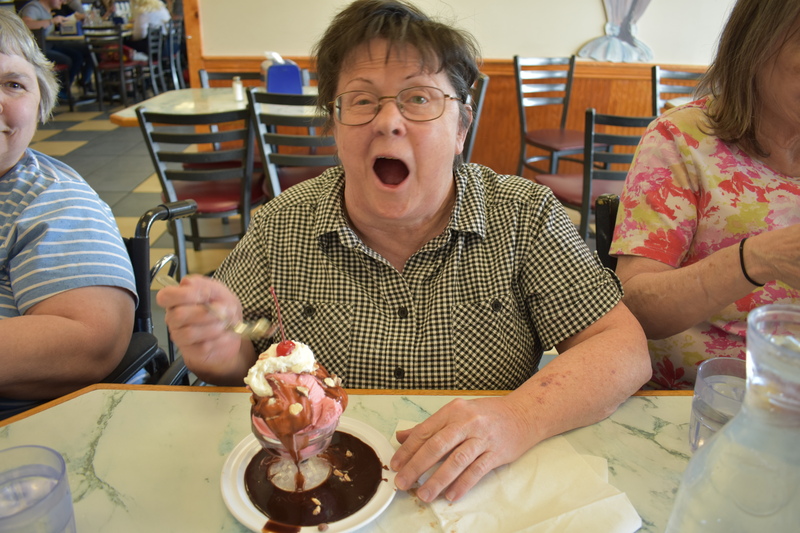 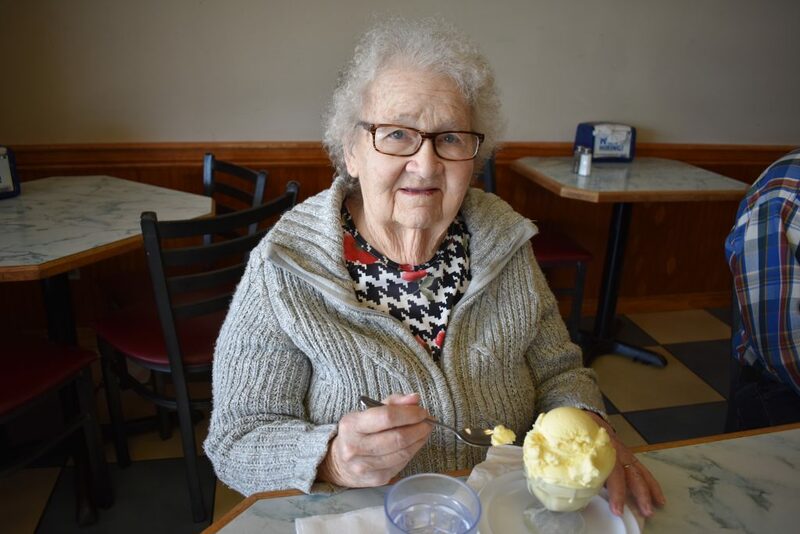 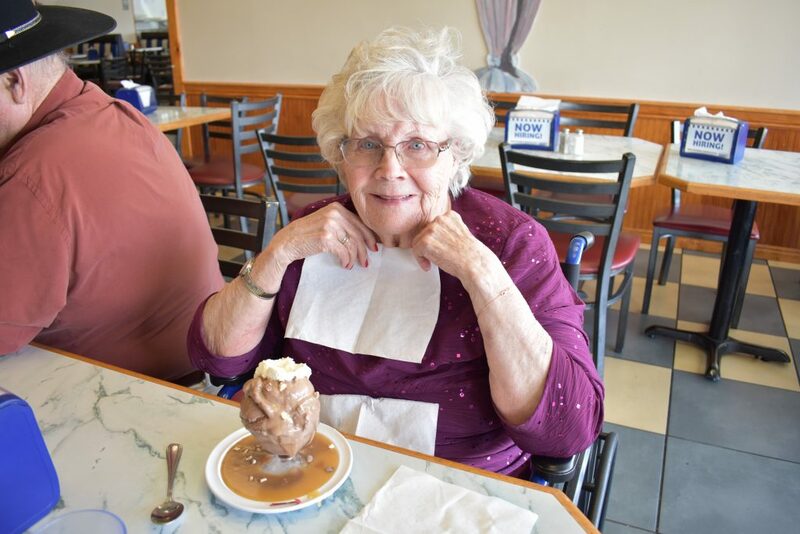 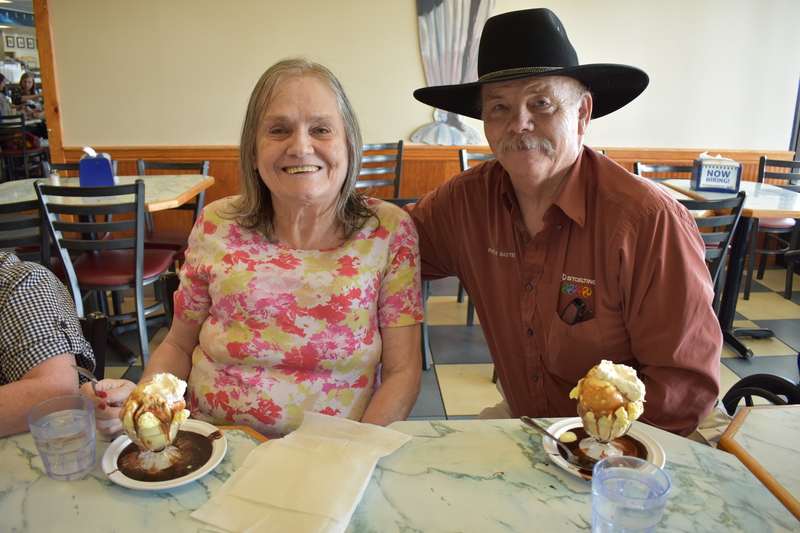 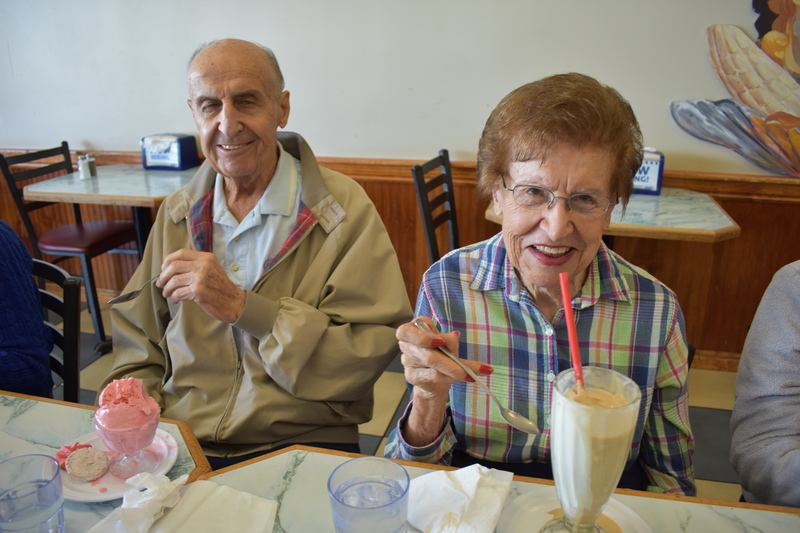 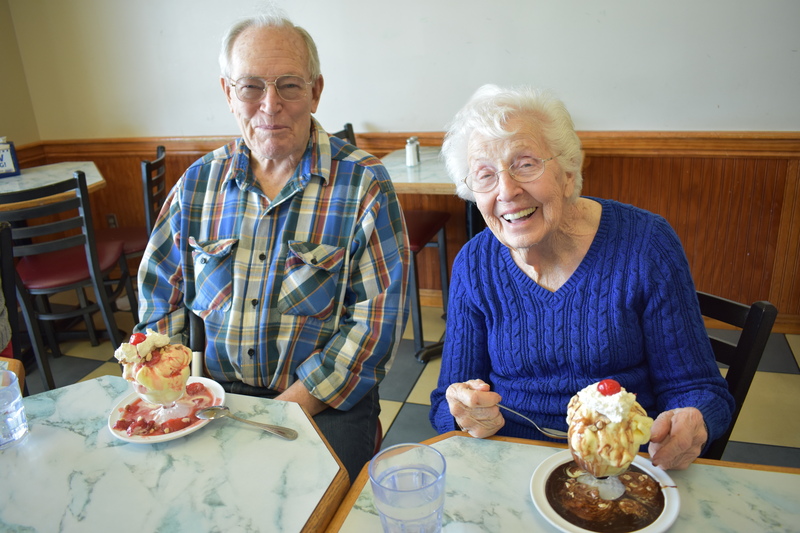 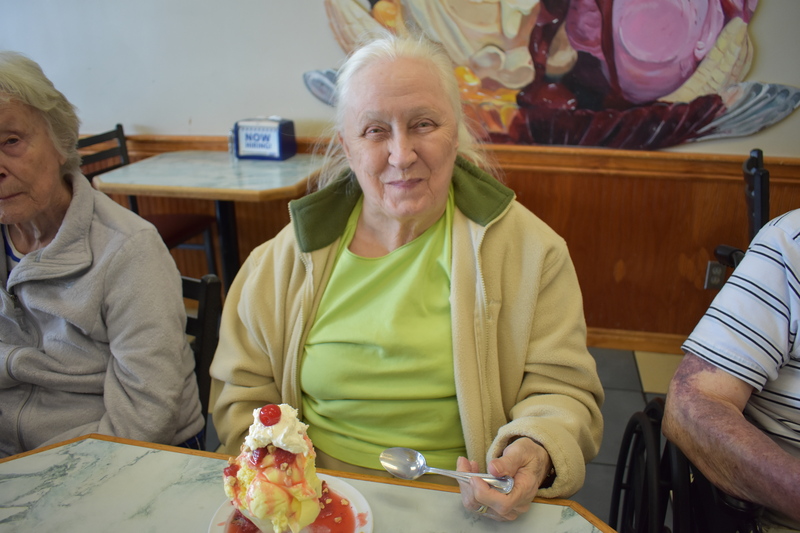 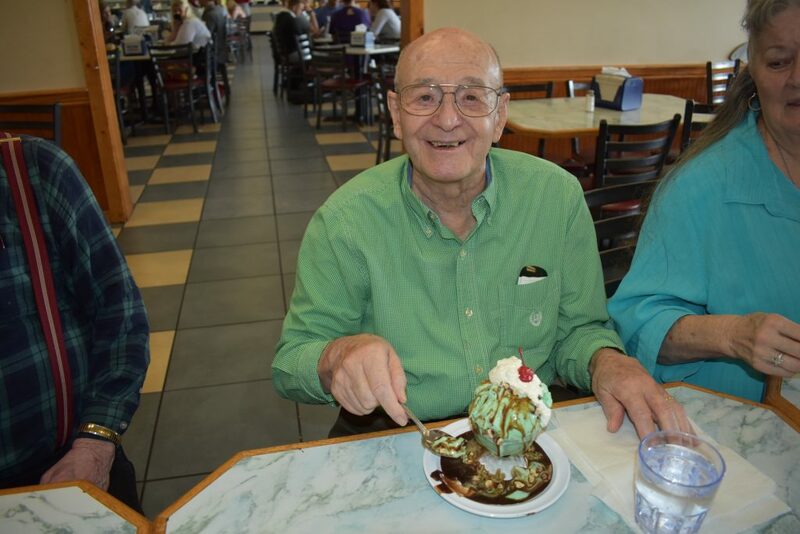 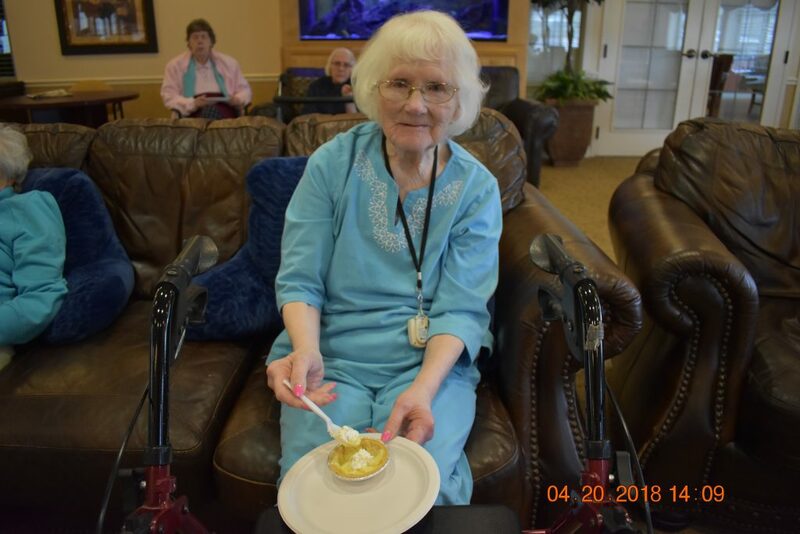 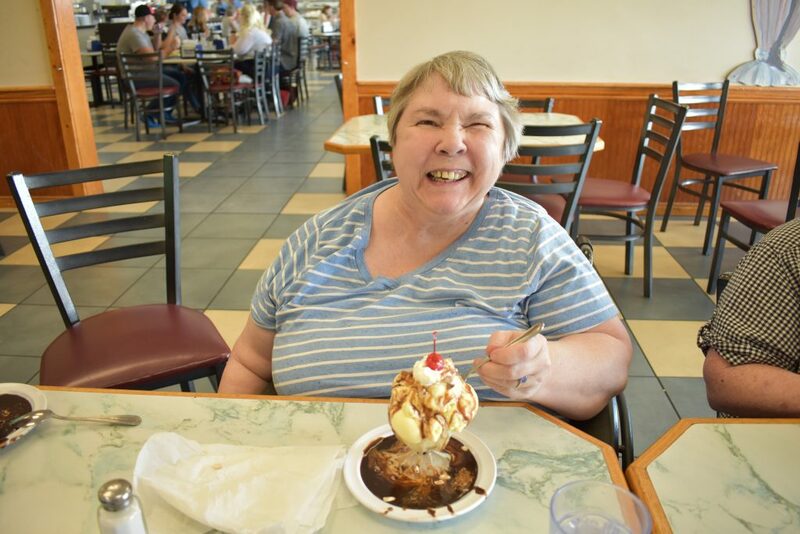 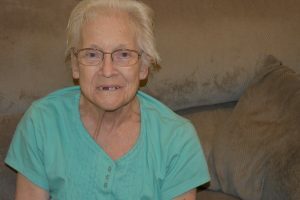 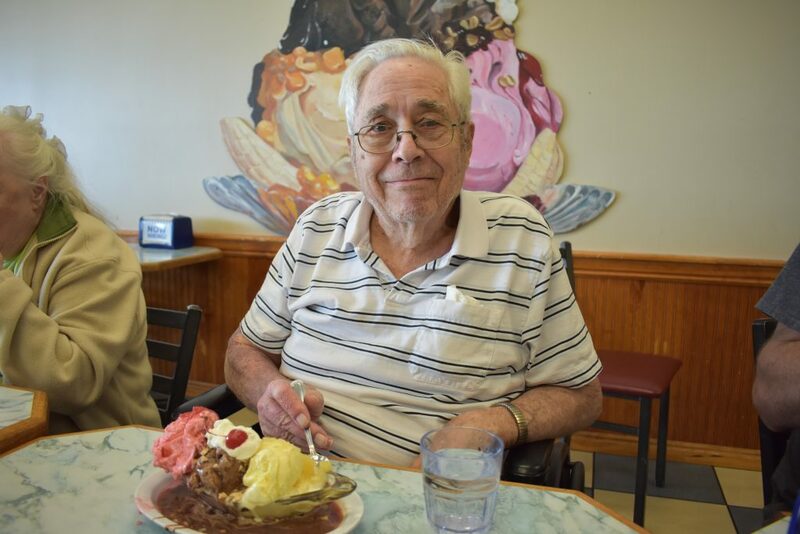 Now that it is finally warming up our assisted living crew took a ride to Leatherby’s Ice Cream Shop for a sweet treat. 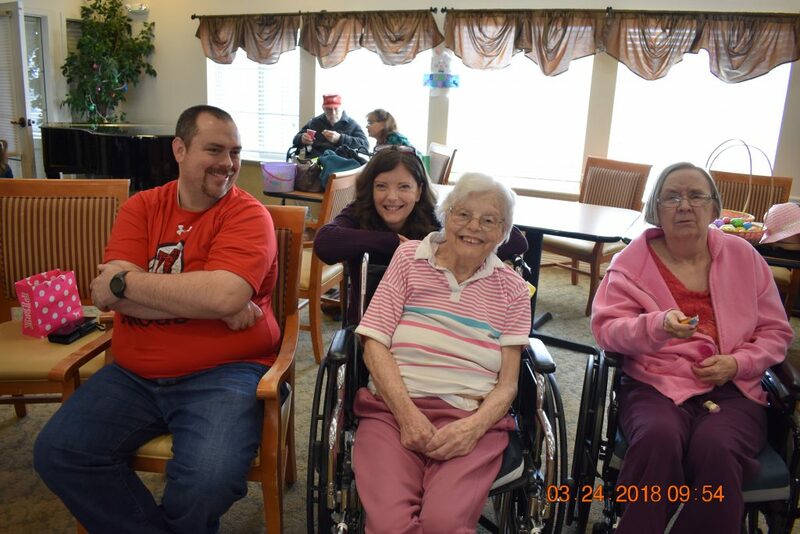 As you can see below everyone was all smiles and laughter during this fun outing. Hopefully the weather will keep so we can keep enjoying warm weather activities! 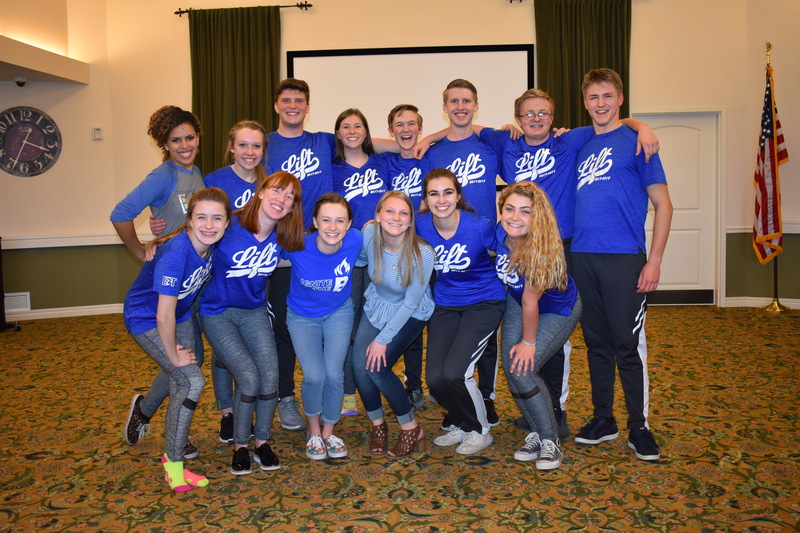 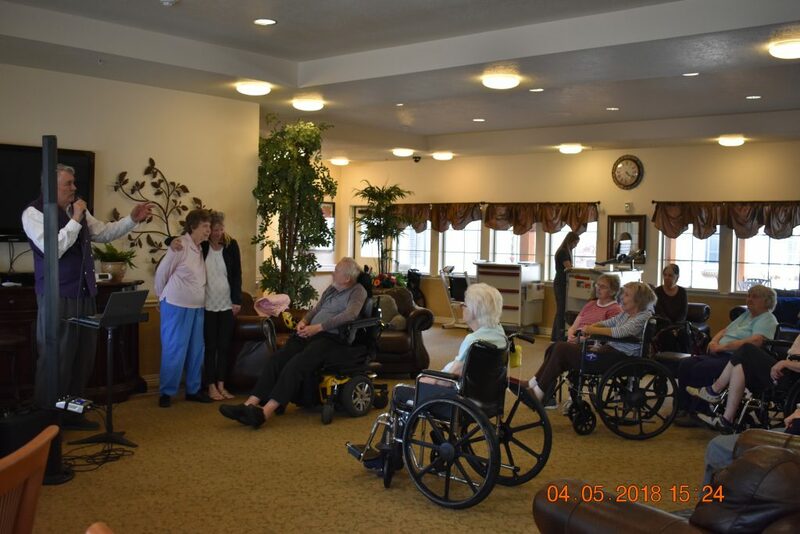 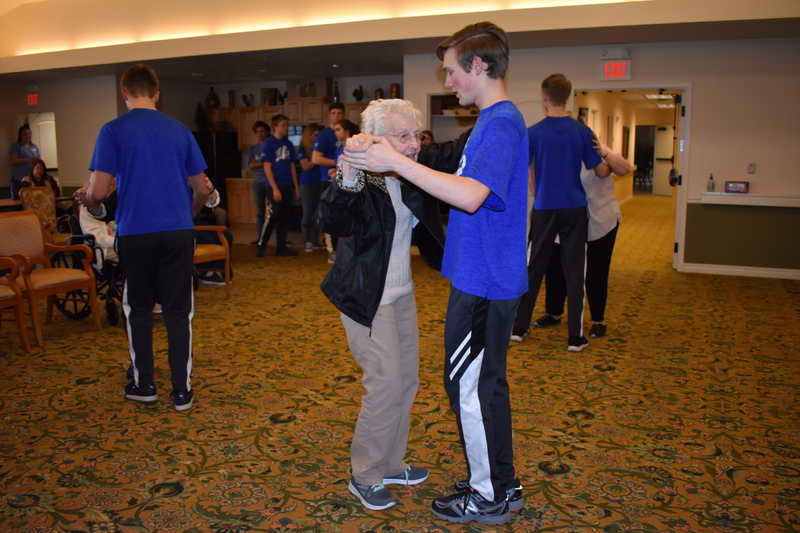 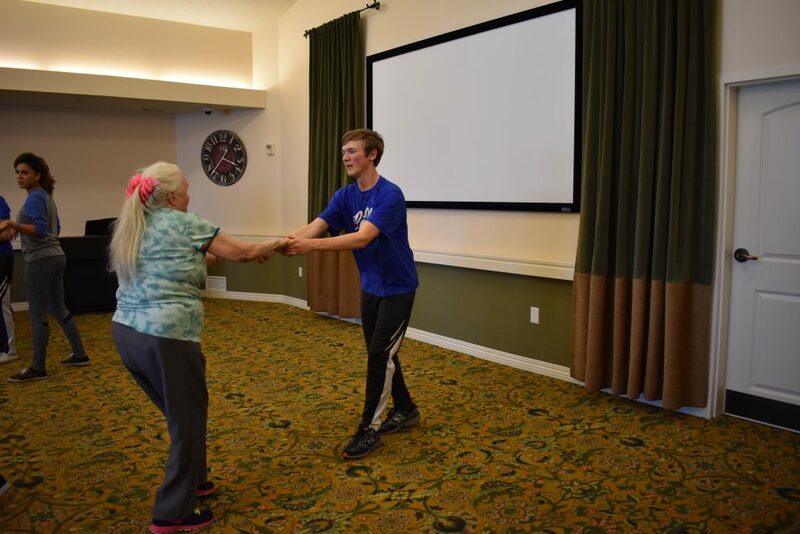 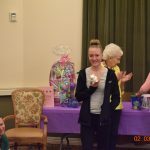 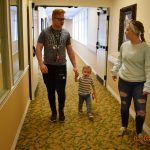 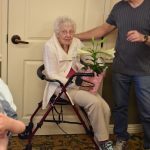 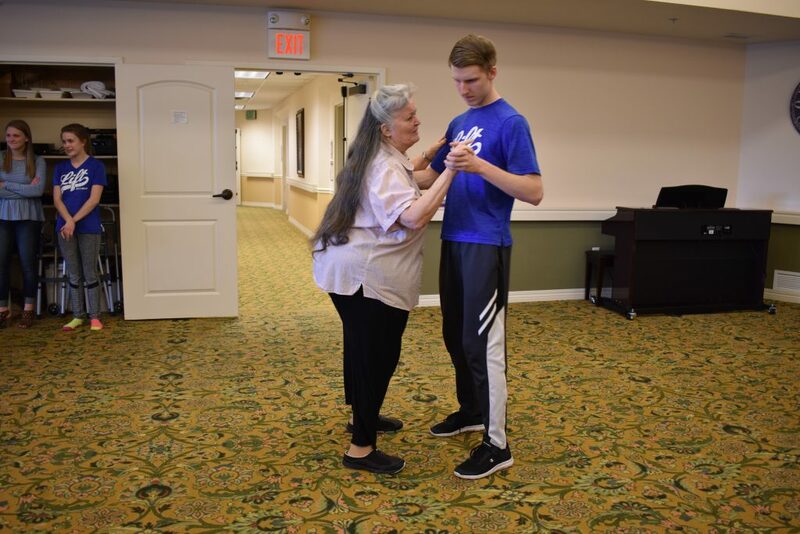 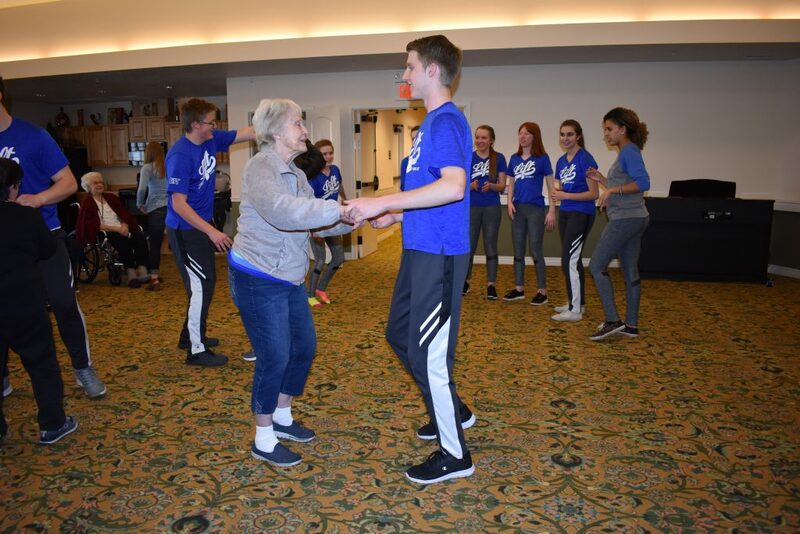 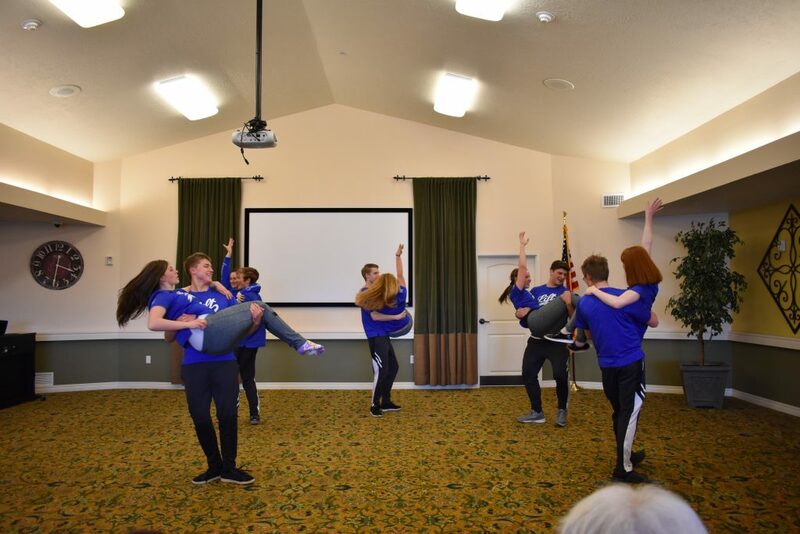 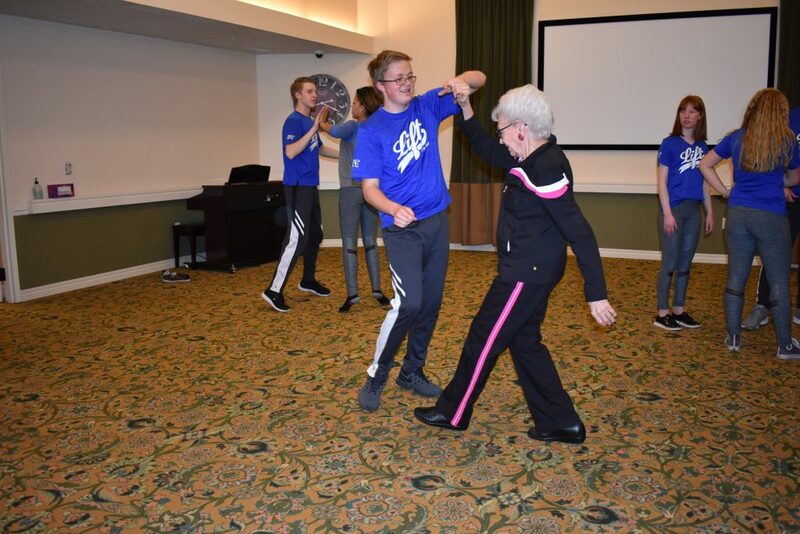 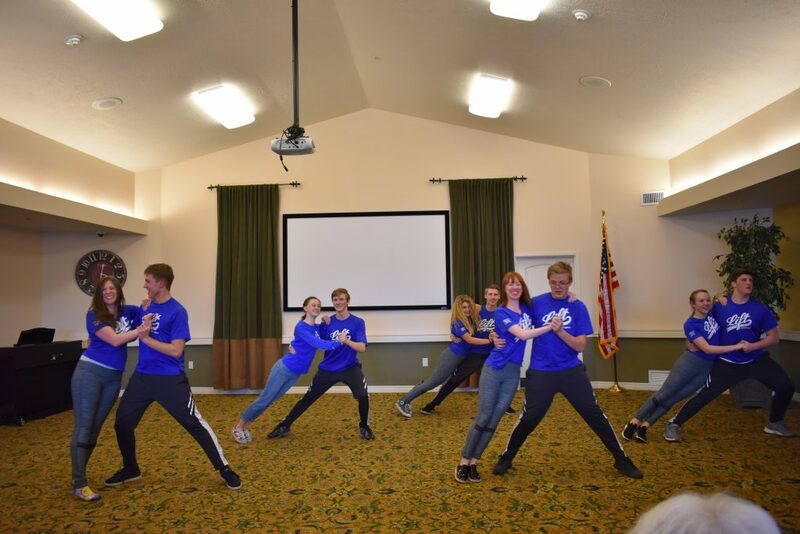 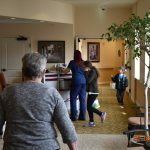 The Bingham High School dance team recently visited our assisted living crew. 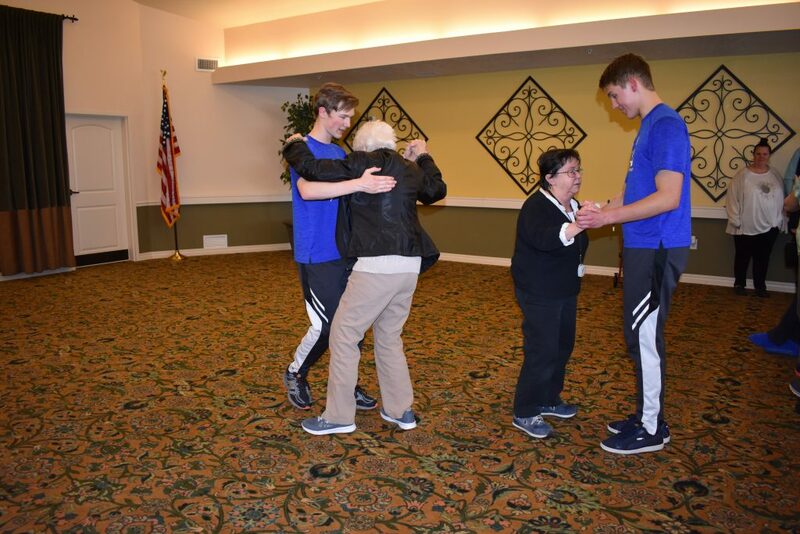 They put on quite the performance and took the time to teach a few dance steps to us. 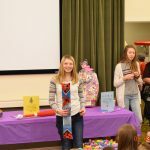 We had a lot of fun watching and interacting with these wonderful teens. 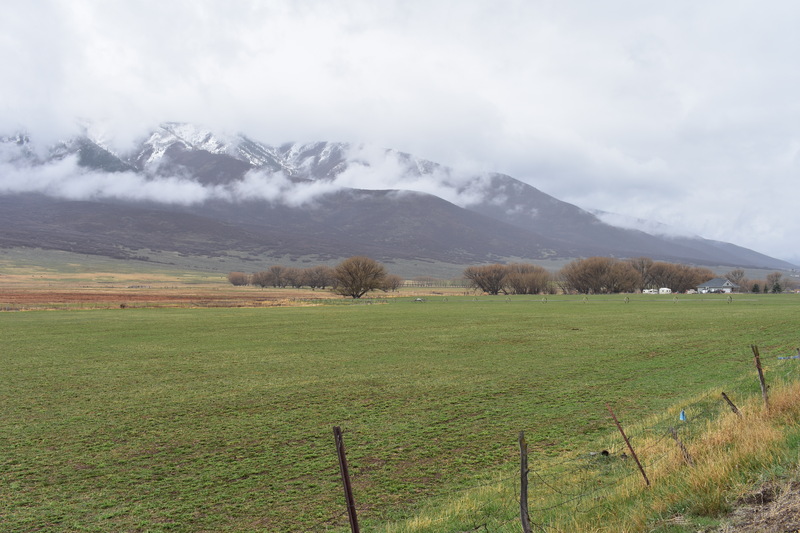 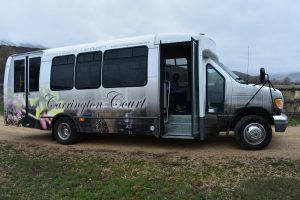 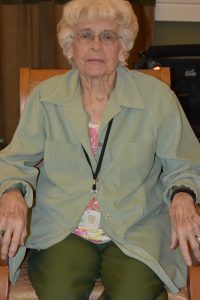 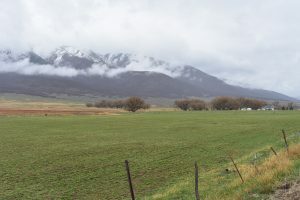 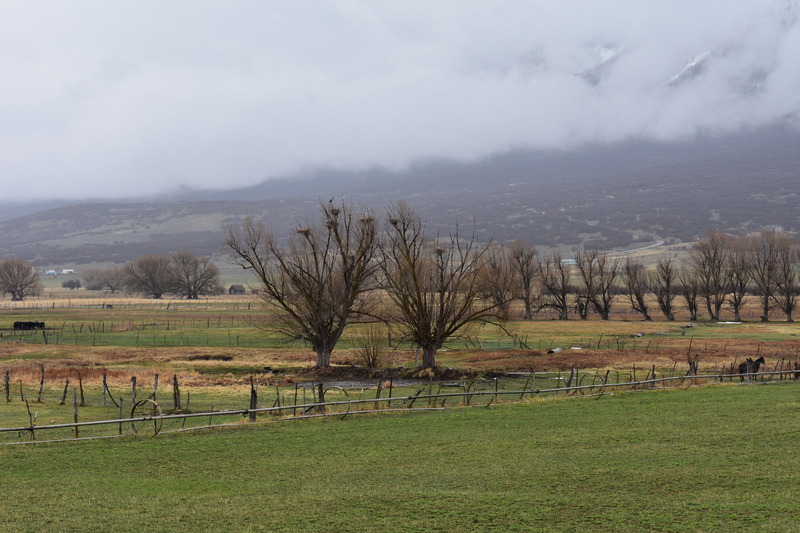 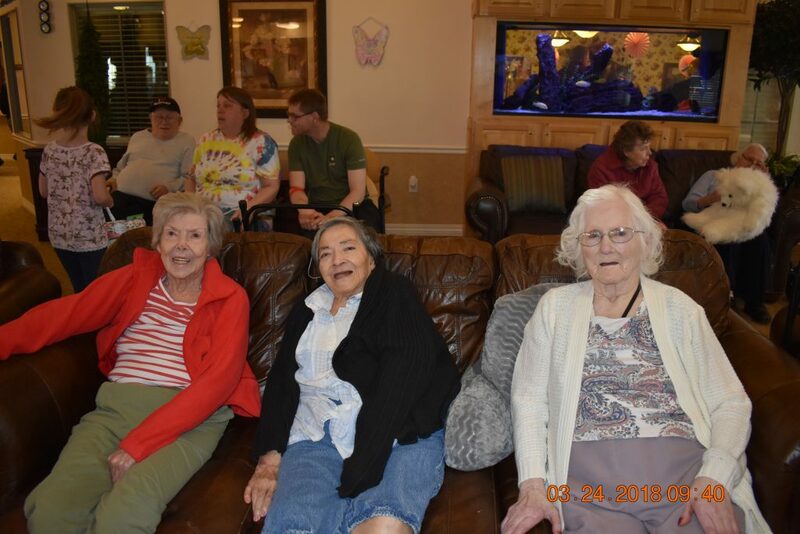 Our assisted living crew recently took a bus ride to Wallsburg, UT. 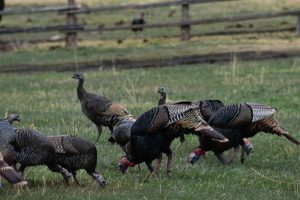 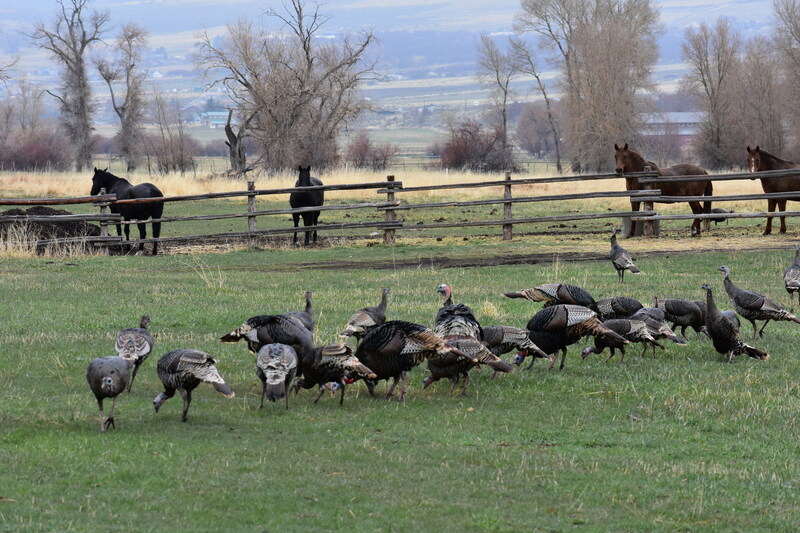 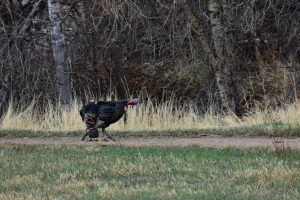 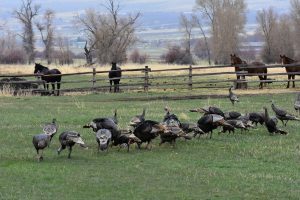 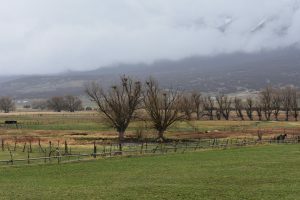 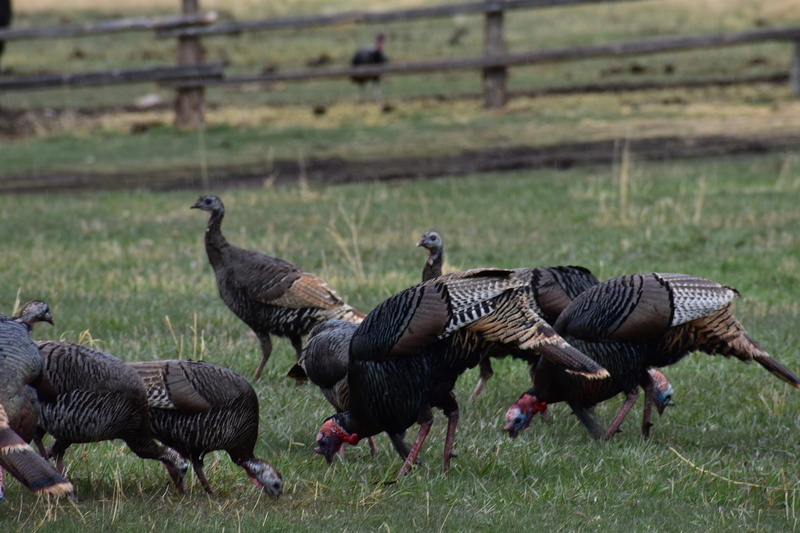 While there we were able to see nesting cranes and wild turkeys. A man whose family has been living in Wallsburg for 150 years came on the bus to chat with our crew. 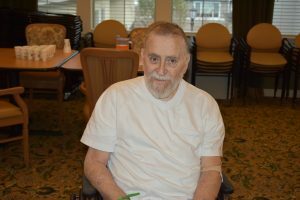 He showed us a picture of a treed cougar he tracked down that the previous week had dragged a dead deer up onto his back porch. 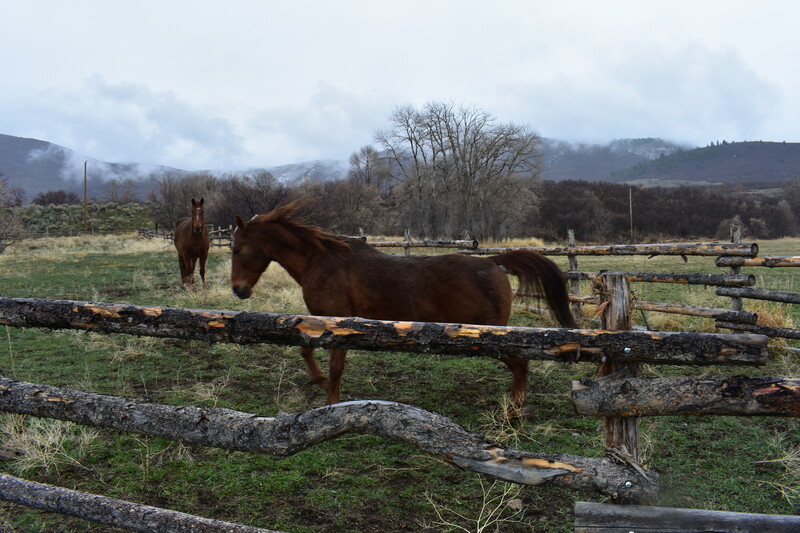 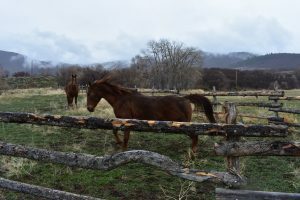 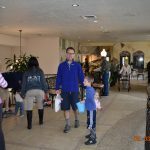 He was able to point out three bear dens up in the mountains surrounding the valley and showed us some puppies that are raised locally called Aussie doodles. 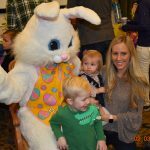 We would highly recommend googling these puppies as they are absolutely adorable. 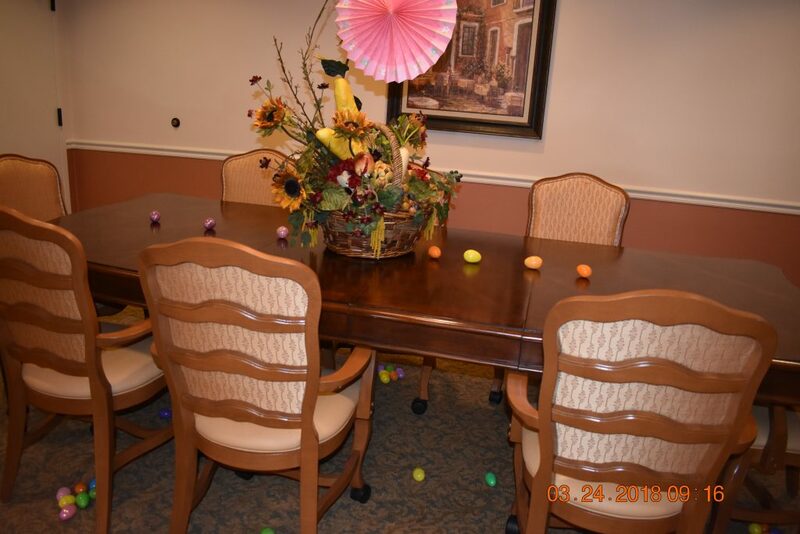 The season is changing yet again and we at Carrington Court are looking forward to welcoming the warm weather and what better way to usher Spring in than to brighten up the inside of our building. 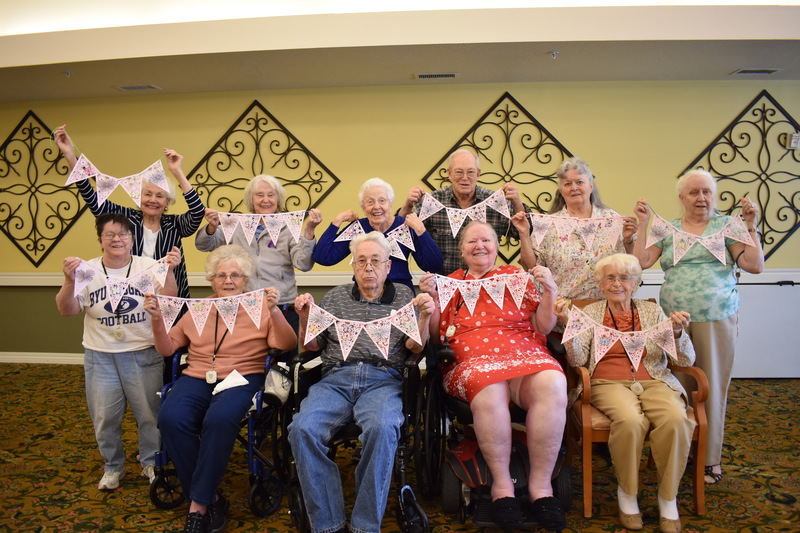 Our assisted living crew recently made some door decorations to help get us in the mood for cooler clothing and brighter colors. We must say they turned out well! 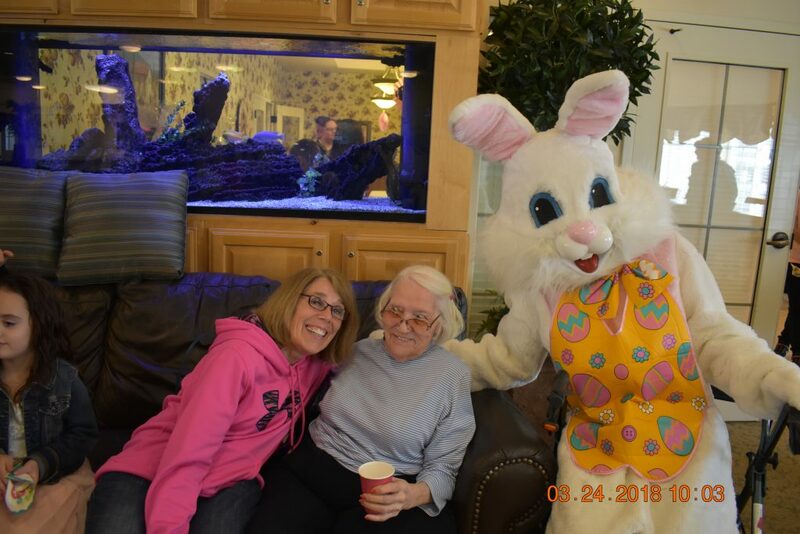 Here at Carrington Court we had a very “Hoppy” Easter! 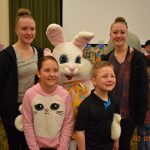 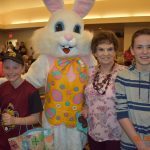 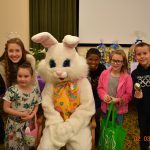 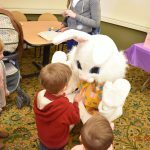 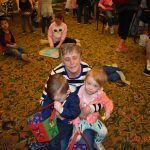 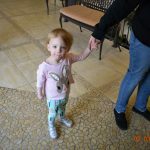 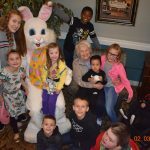 We were joined by family, grand children, and the Easter Bunny! 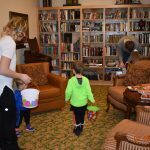 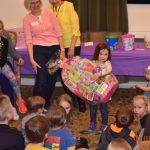 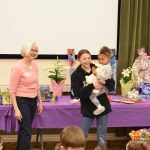 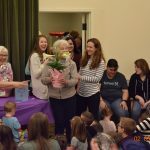 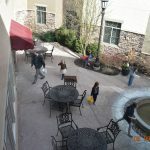 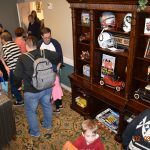 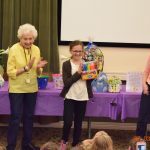 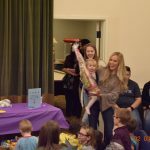 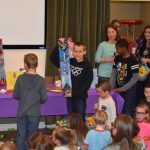 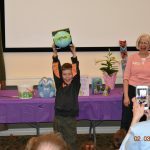 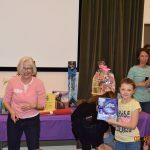 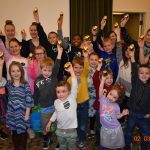 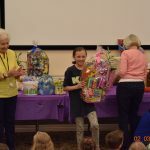 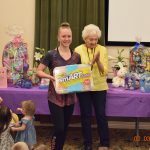 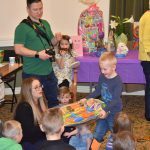 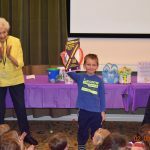 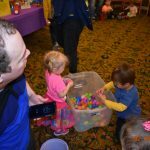 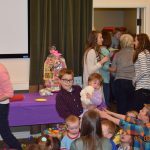 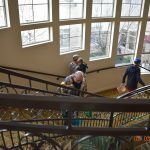 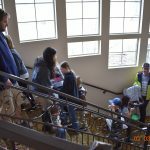 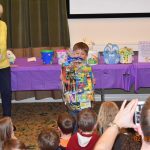 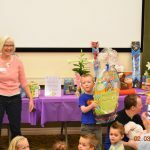 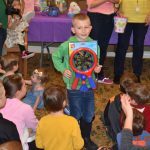 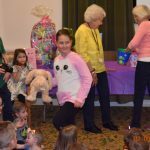 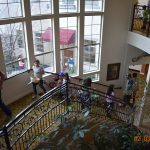 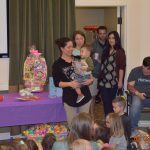 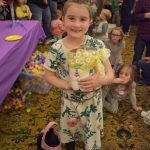 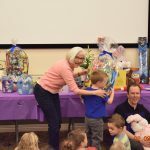 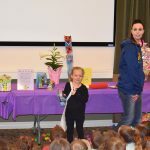 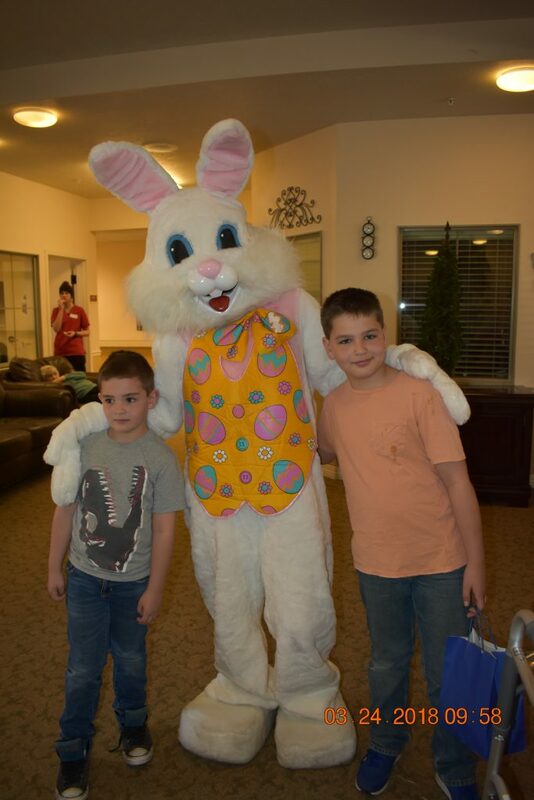 It’s always fun to watch the kids run around for the Easter egg hunt and win prizes! 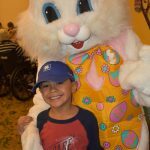 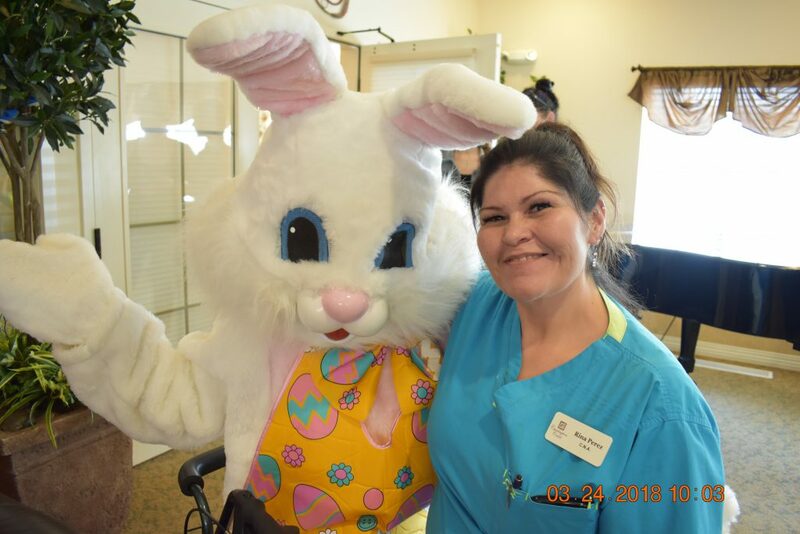 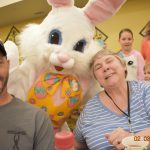 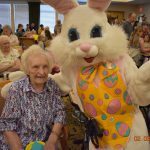 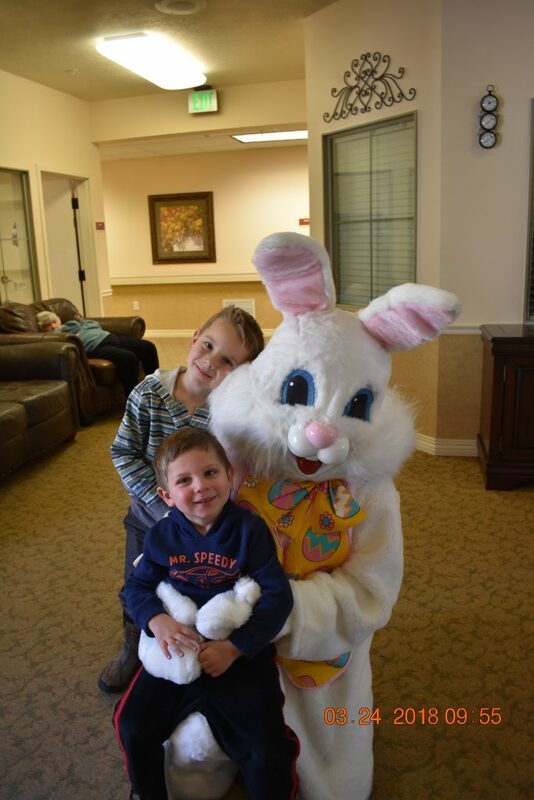 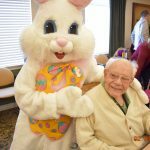 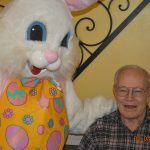 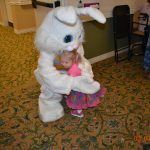 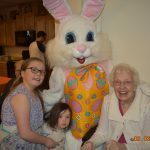 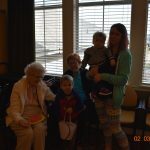 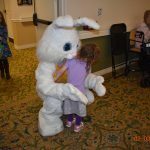 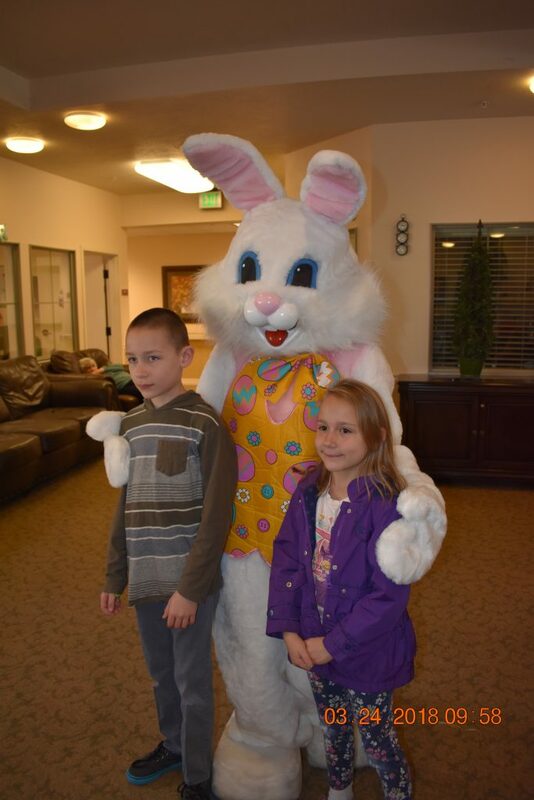 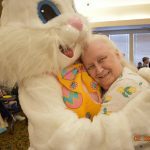 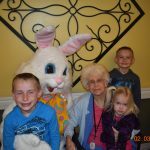 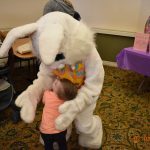 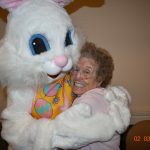 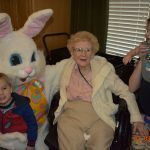 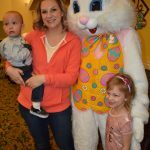 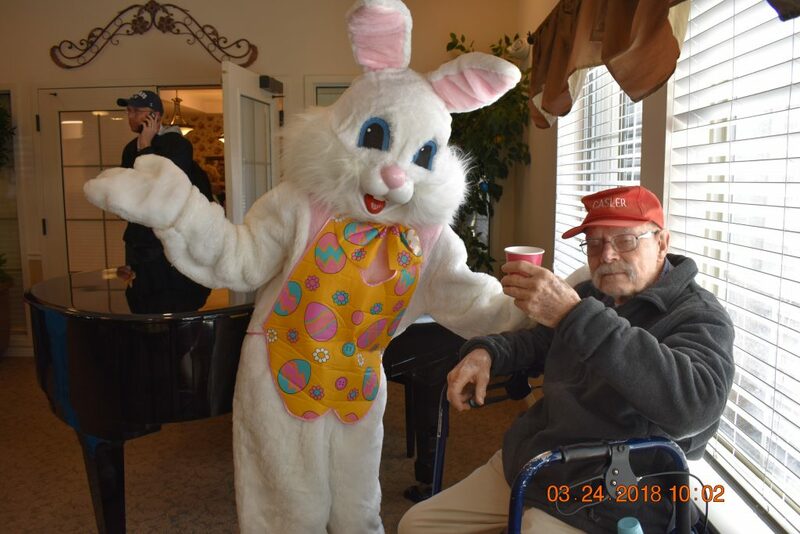 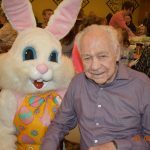 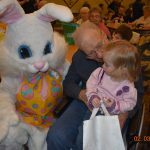 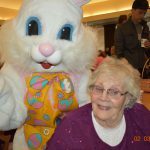 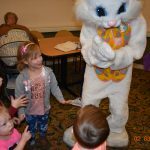 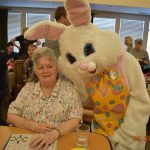 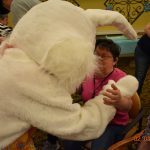 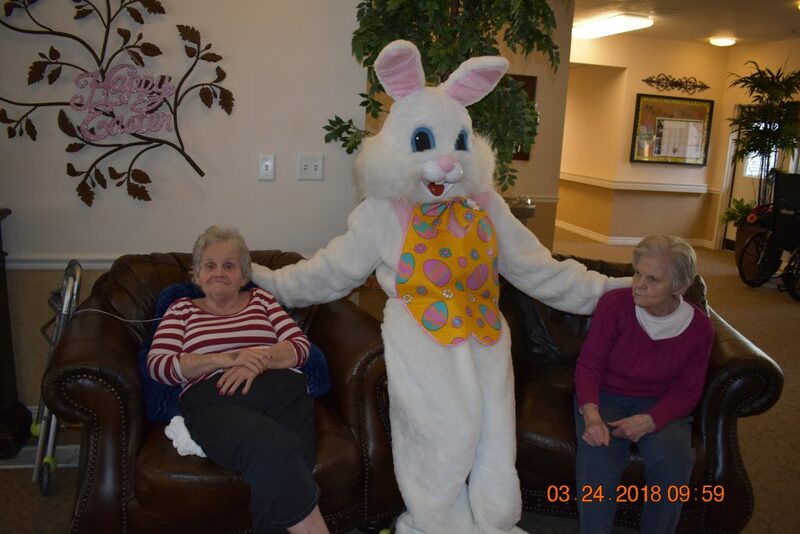 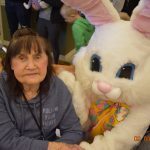 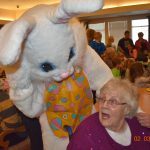 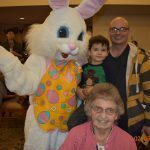 The residents enjoyed being with family, having a treat and getting their pictures taken with the Easter Bunny! 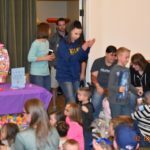 Thanks to all who came! 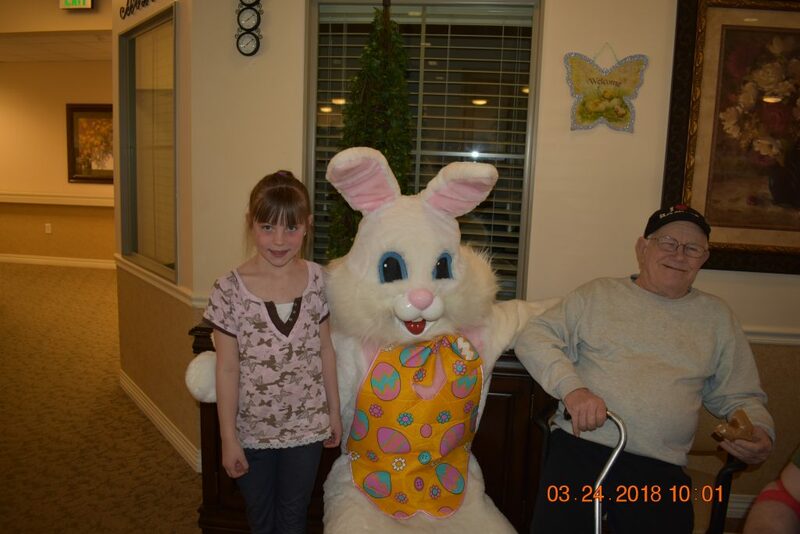 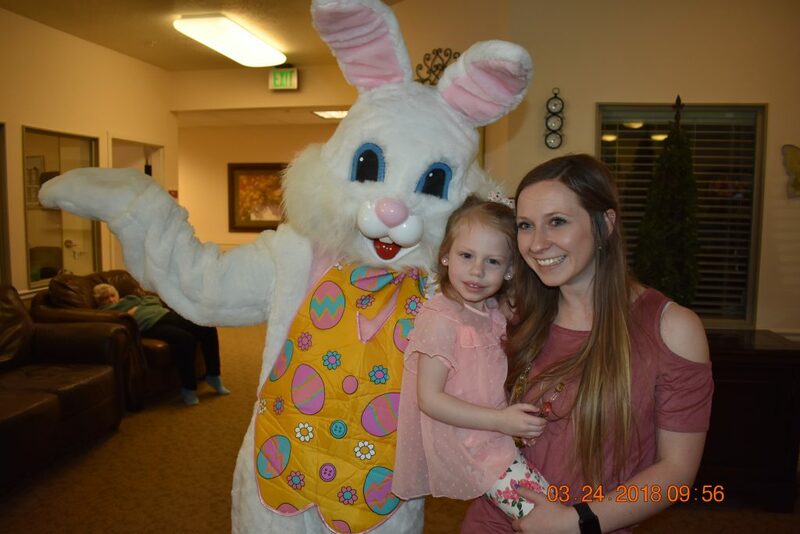 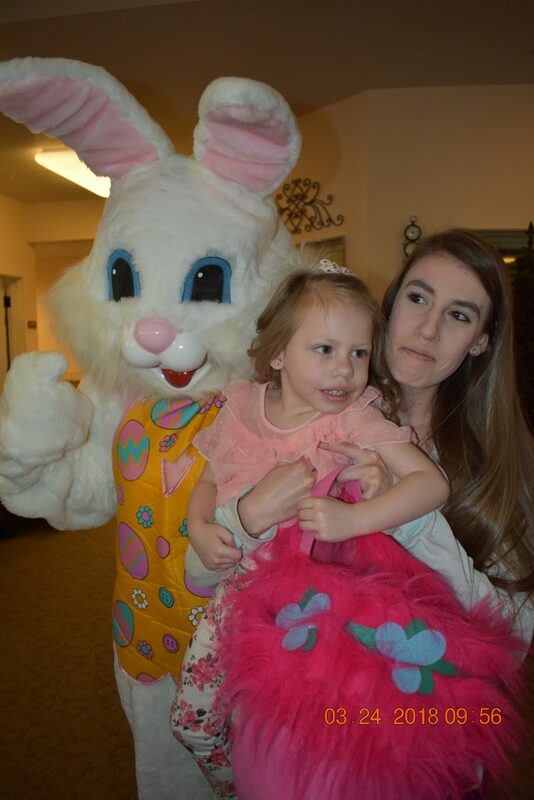 The Easter bunny was kind enough to visit Carrington Court a week early this year so he could hide eggs all around CC’s building for our resident’s families to come find. 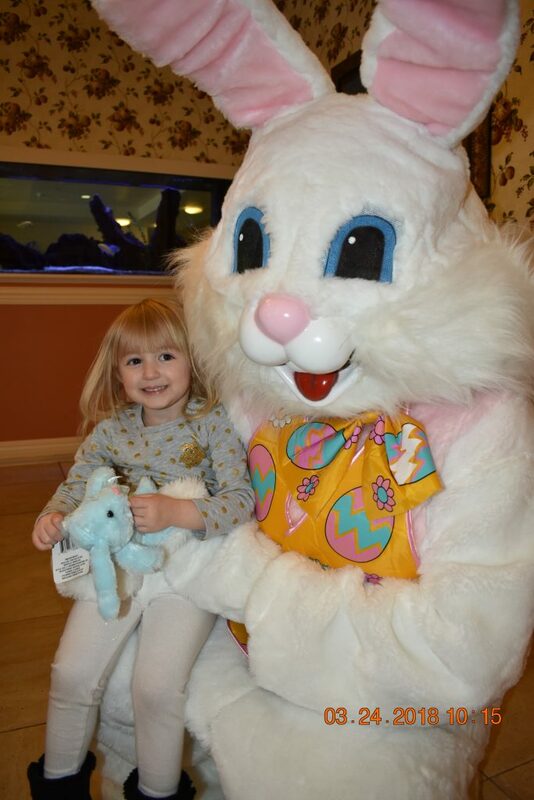 The bunny hid over 1,600 eggs for us and hid a special 20 golden eggs that let some lucky kids win prizes. 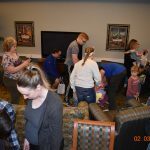 It was an absolute joy to see everyone’s families come and take part in this special day. 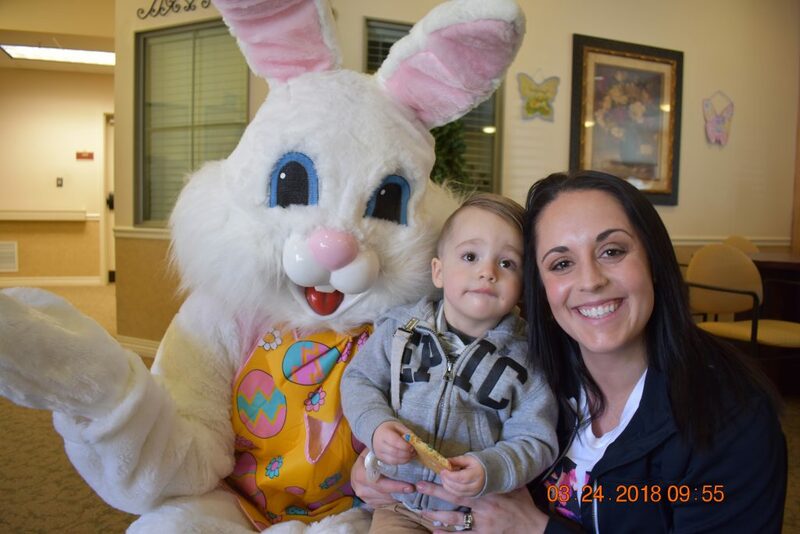 While it only took a few minutes to find all of the eggs the memories that were made will last a lifetime. 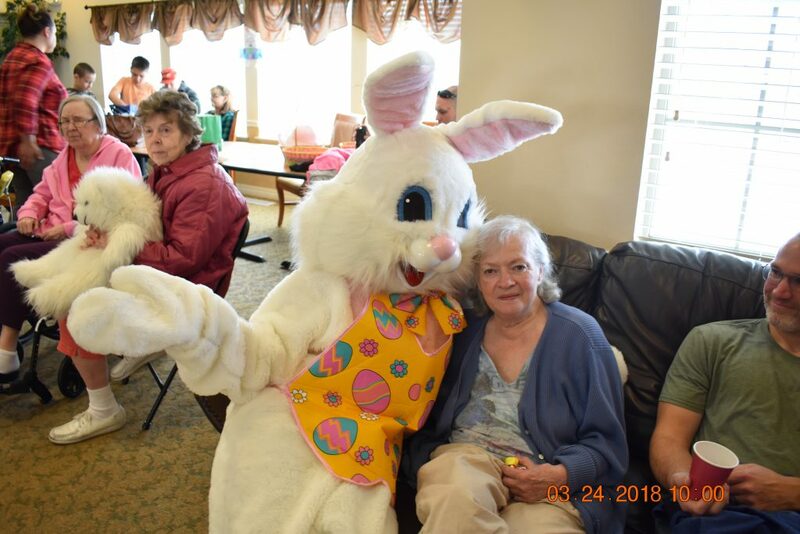 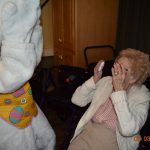 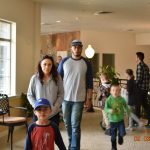 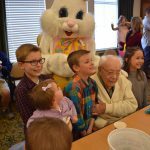 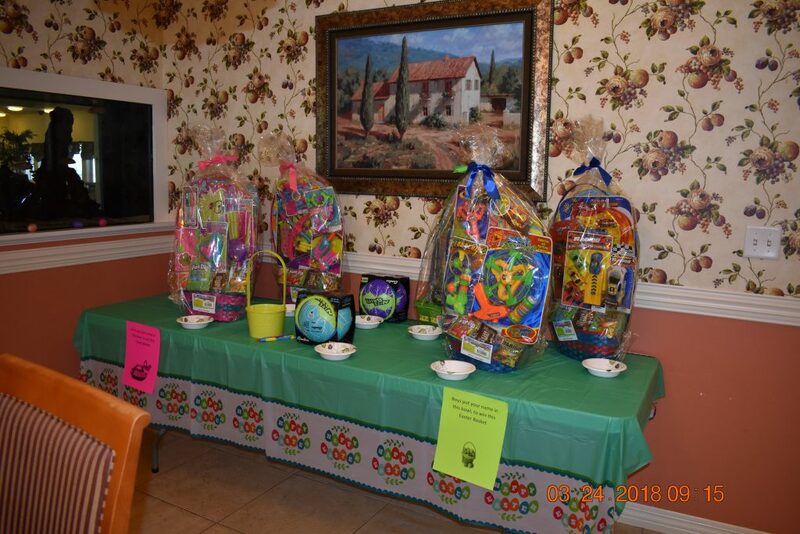 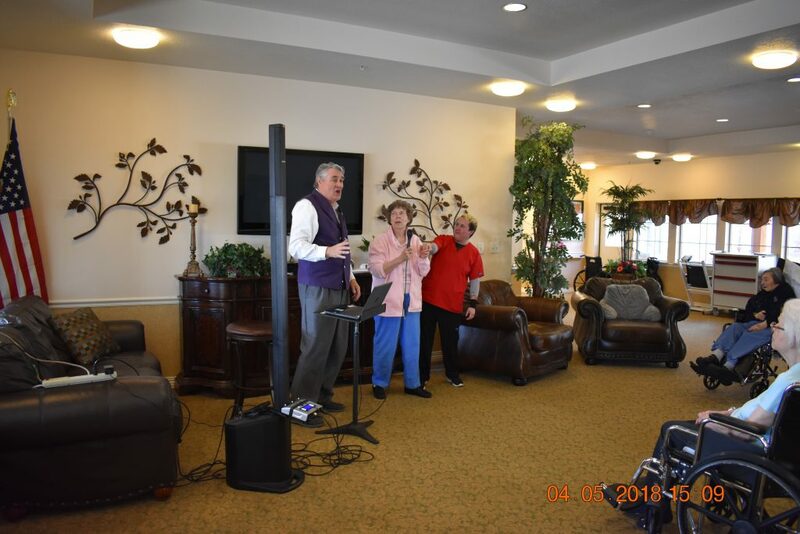 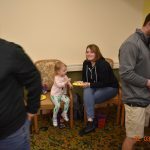 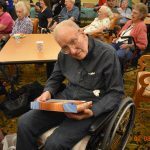 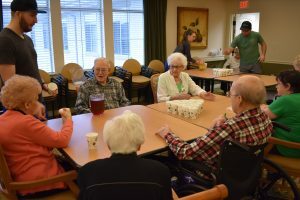 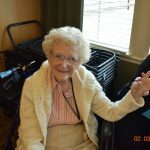 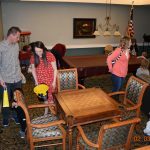 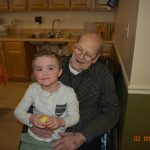 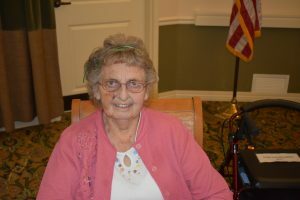 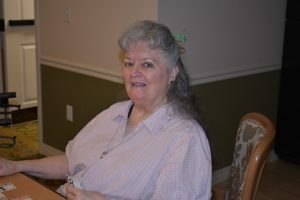 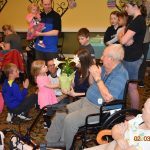 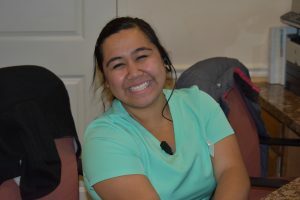 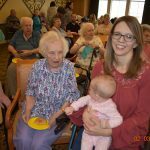 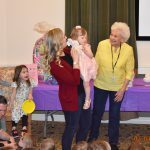 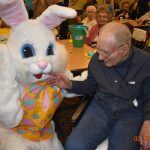 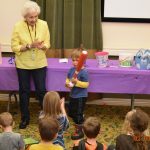 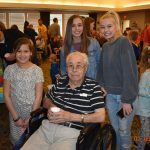 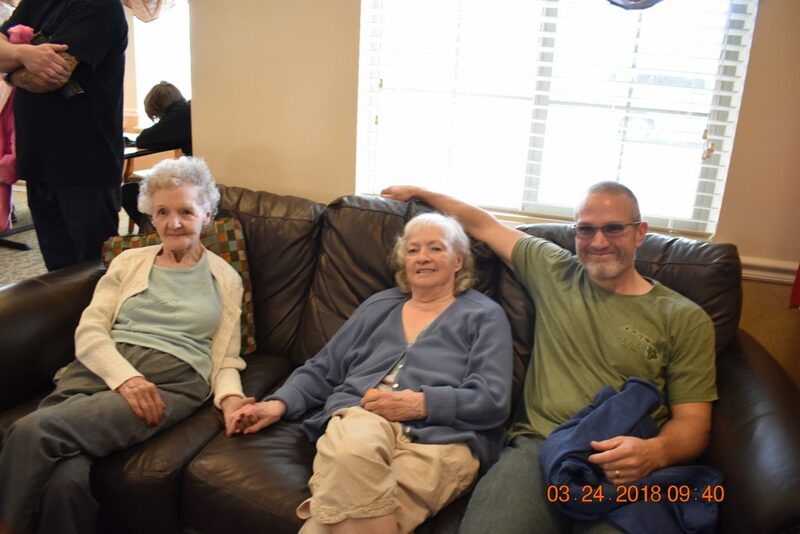 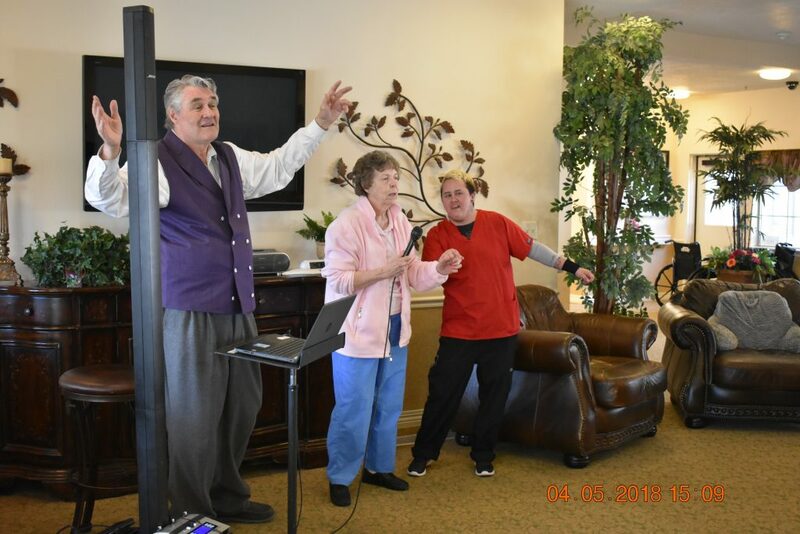 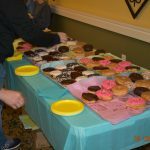 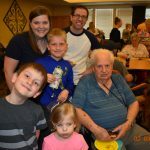 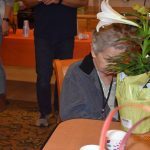 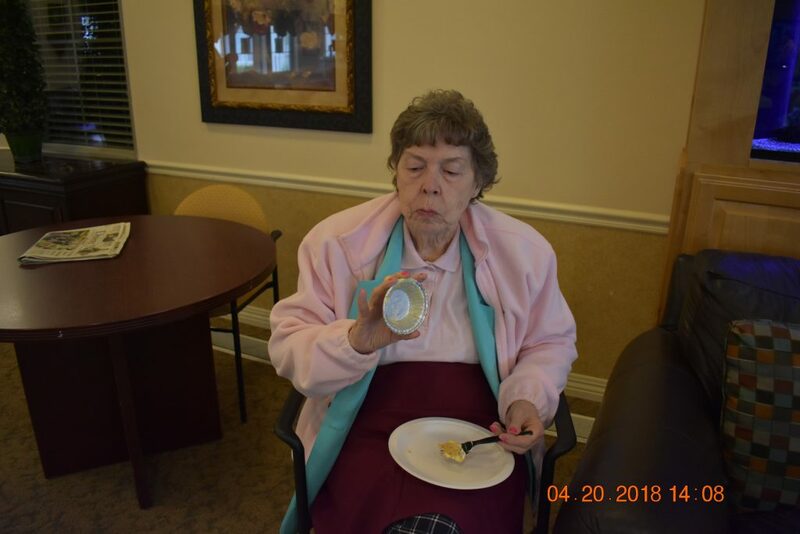 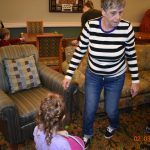 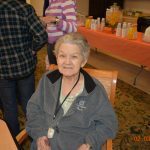 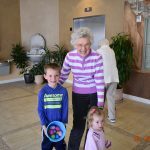 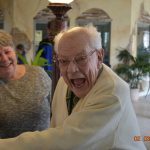 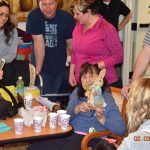 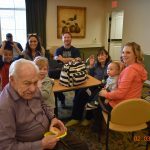 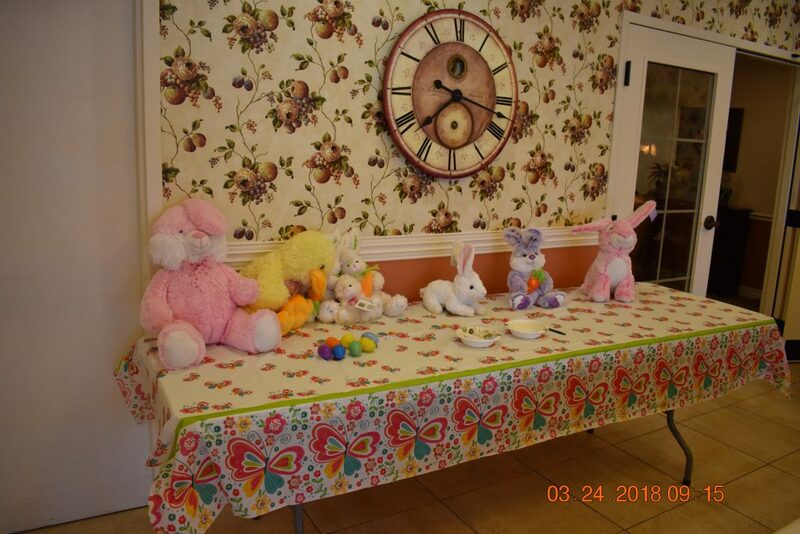 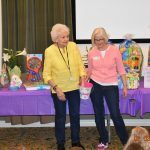 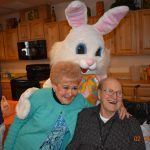 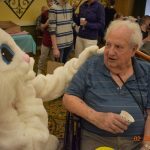 See below how much fun our assisted living crew and their families had at our Easter celebration. 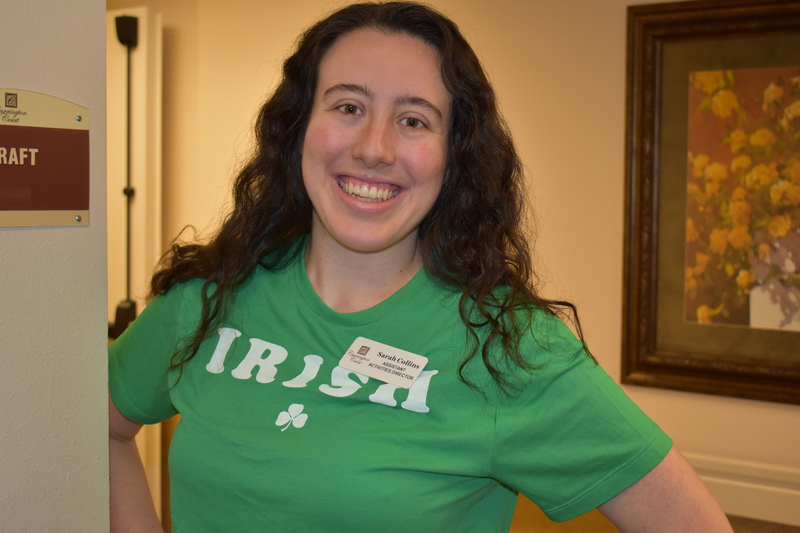 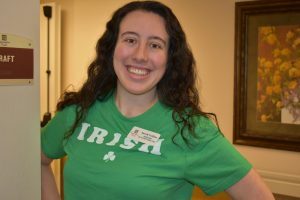 Our assisted living crew is always up to dressing up for the holidays and St. Patrick’s Day was no different. 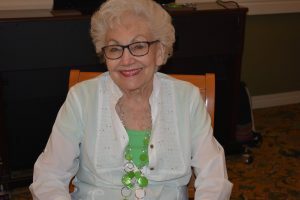 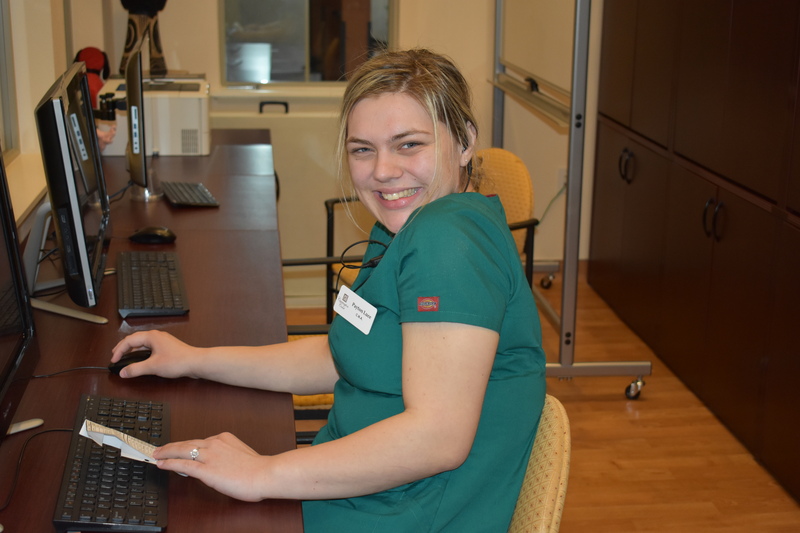 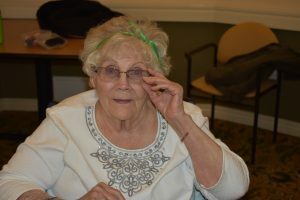 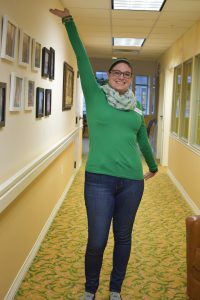 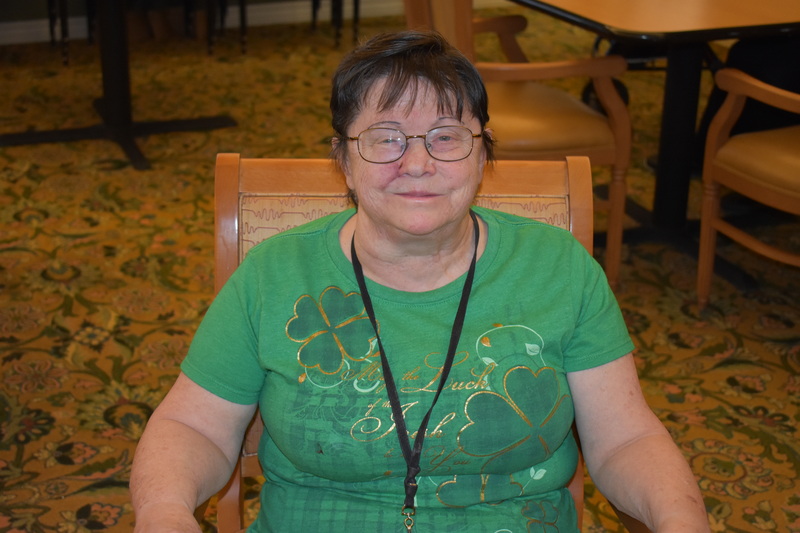 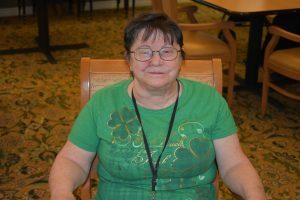 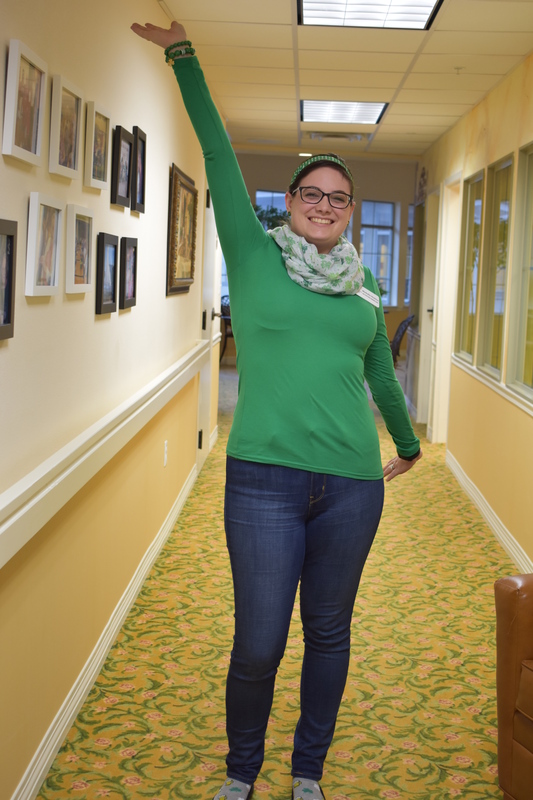 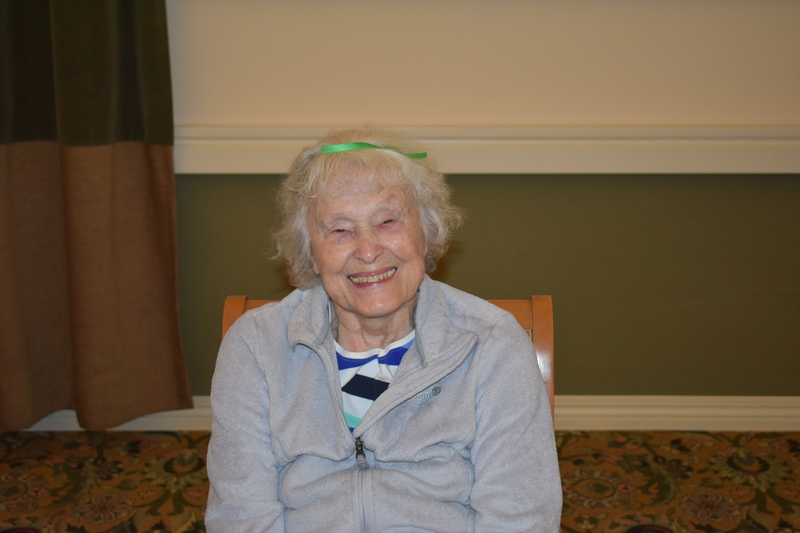 Our residents and staff went all out wearing green for the day. 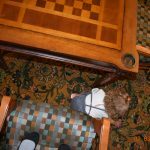 See below how we all pinch proofed ourselves. 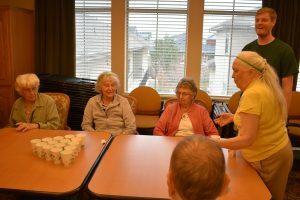 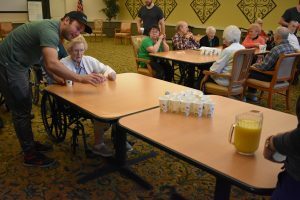 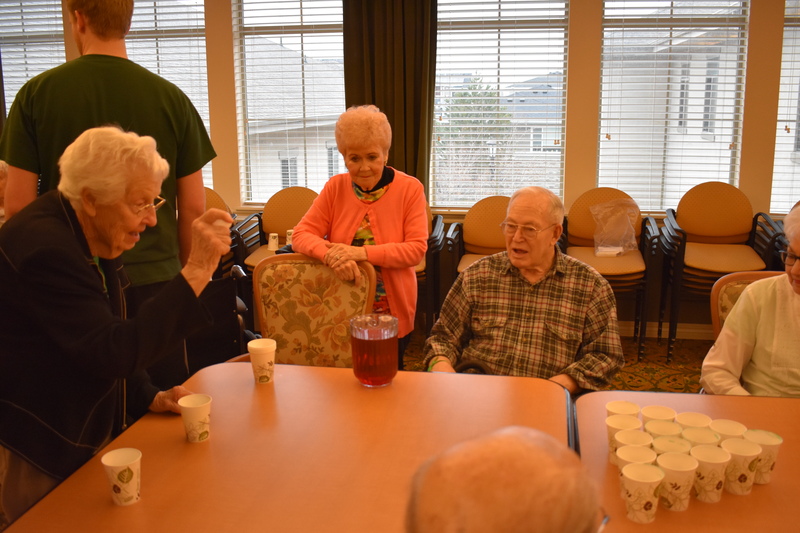 Our wonderful U students also showed us how to play “Juice Pong” in honor of what St. Patrick’s Day is famous for in the U.S. Molly and Carolyn really rocked this game. 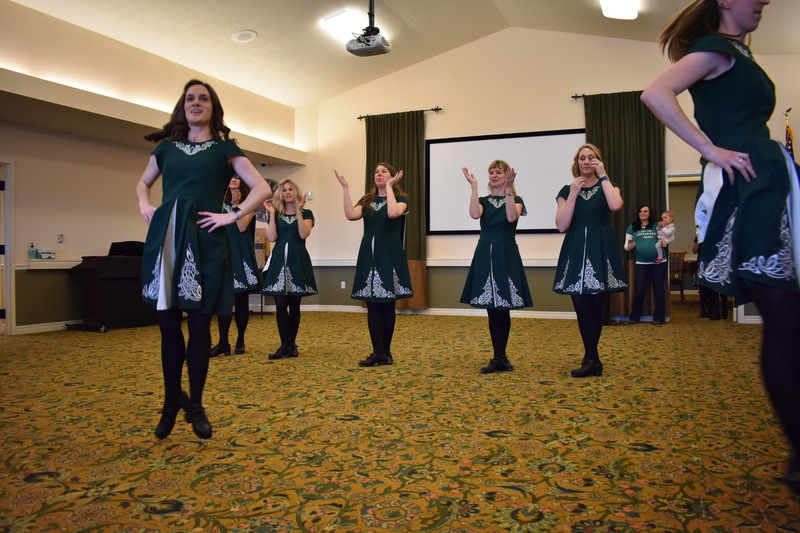 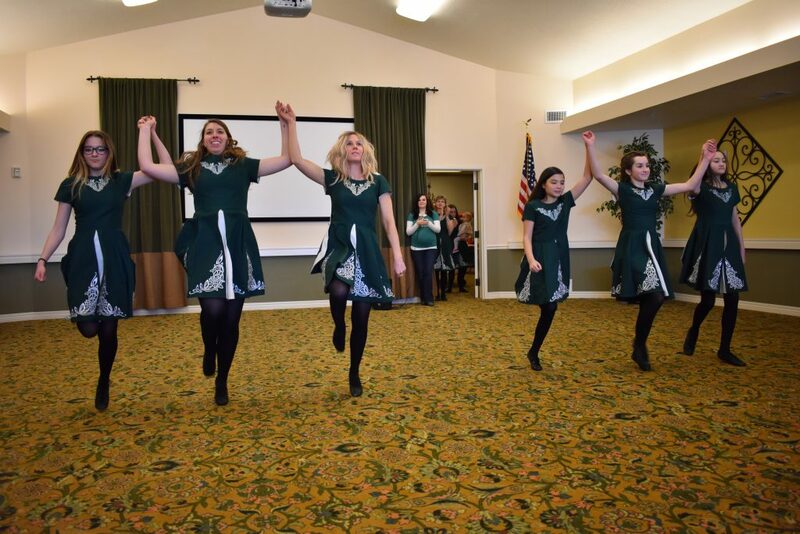 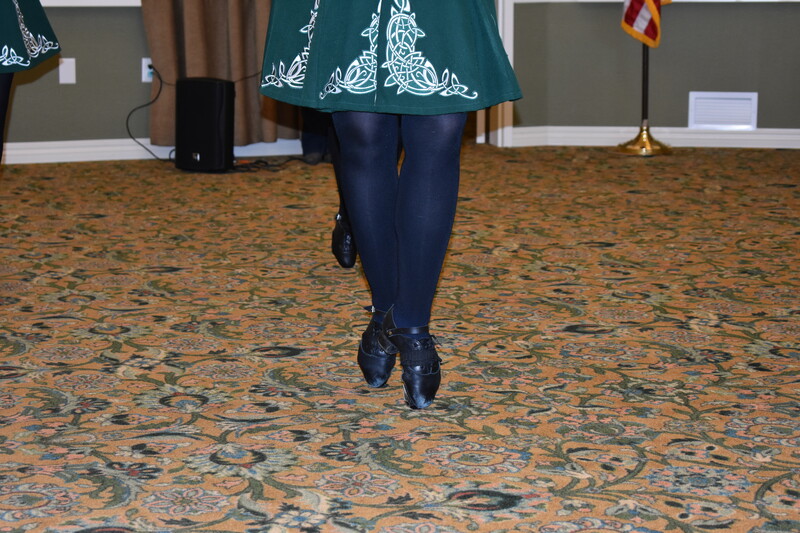 This Irish dance group’s name translates to “Dancing for fun” and did we ever have fun watching them perform for us just before St. Patrick’s Day. 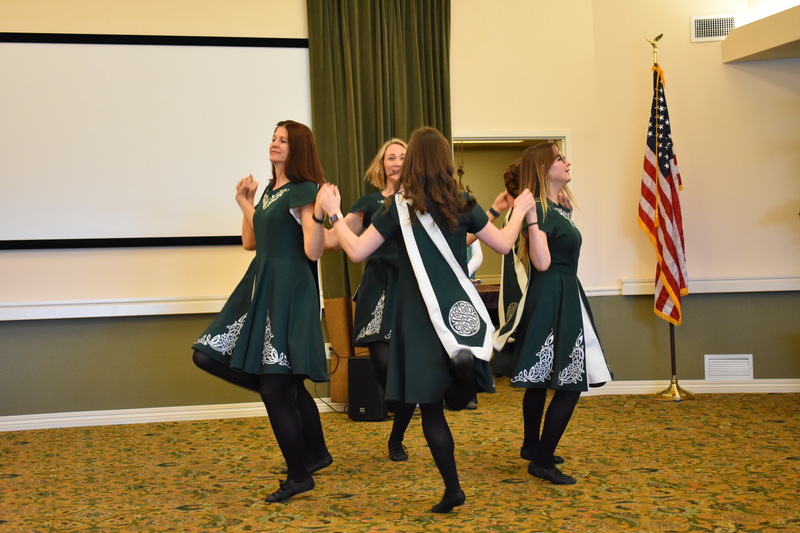 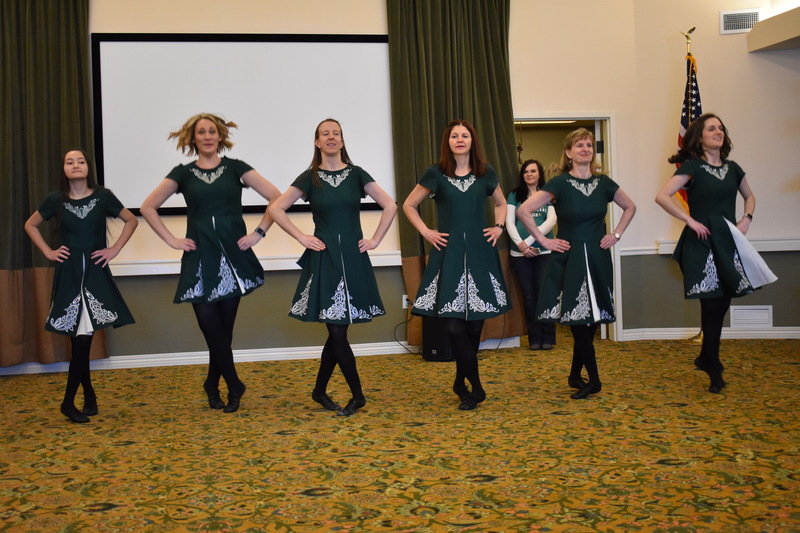 Seeing the traditional dancing and listening to the music really put us in the mood to find those who would not wear green for a quick pinch on the 17th (just kidding…mostly). 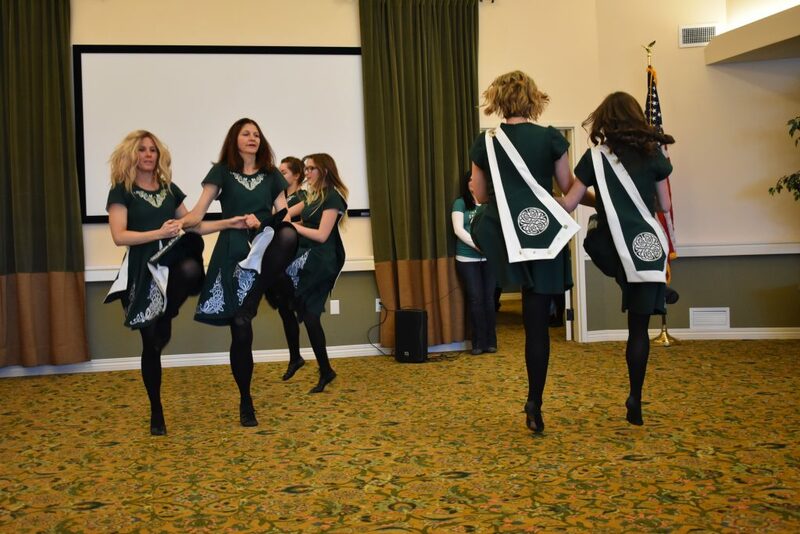 The Rinceoiri Don Spraoi dancers were so fun to interact with. 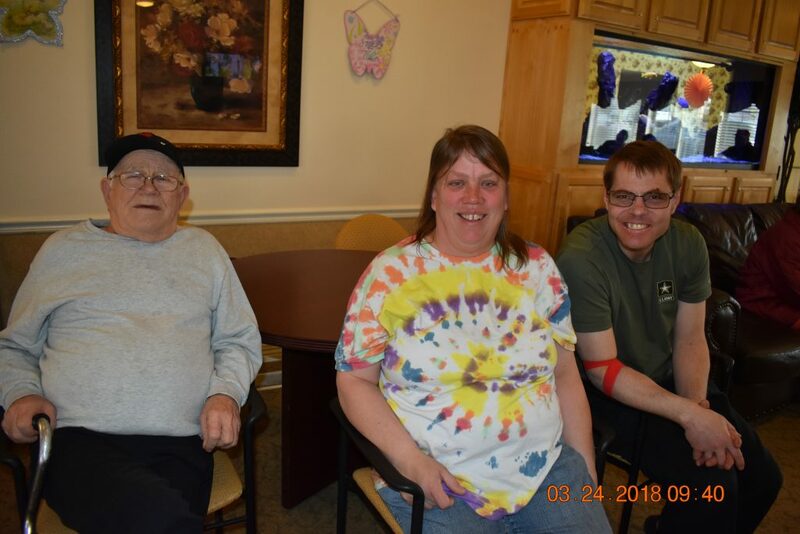 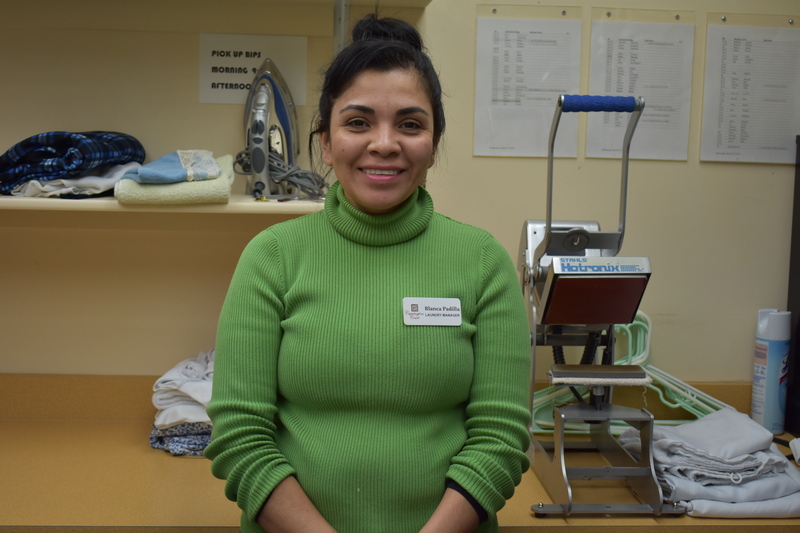 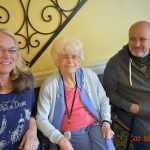 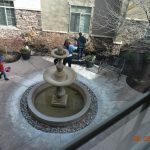 We would like to give another thank you for them coming to visit our assisted living crew.